Presented by FolksbieneRU - a partnership initiative of the Genesis Philanthropy Group and National Yiddish Theatre Folksbiene. 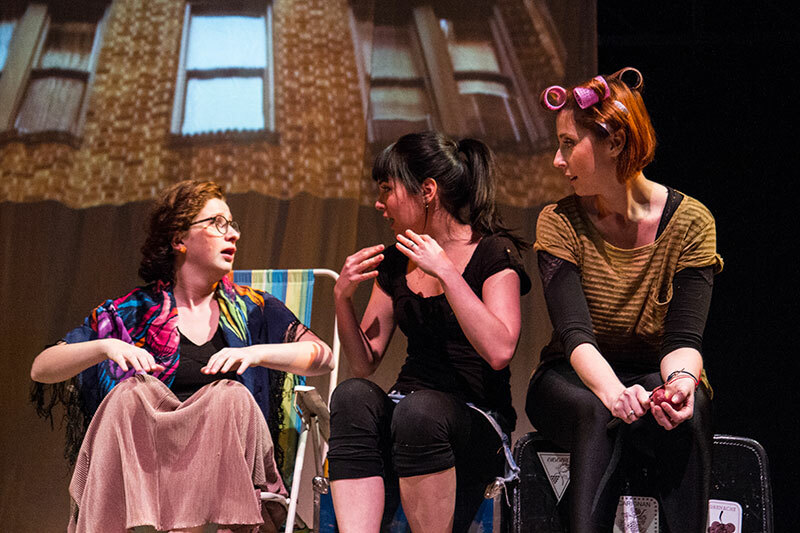 Lost & Found Project is an award-winning troupe, founded in 2011 as a multi-faceted theatre experiment by a group of young NYC-based actors and writers. We are an experimental docu-theatre troupe that creates original stage productions based on the Verbatim technique. 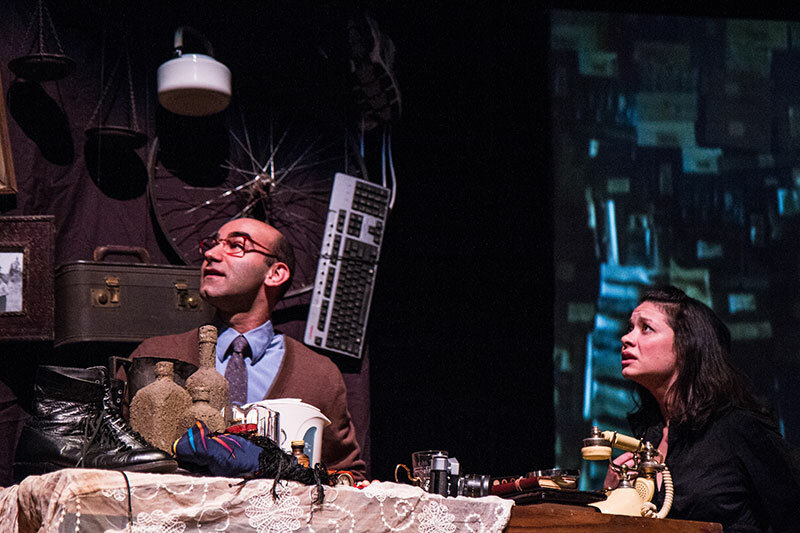 In our dynamic L&F laboratory, the sense of our past journeys collides with our objective reality, and our current experiences are in a struggle with the individuality of each story-teller. The process can be daunting and struggling, as we never know what the outcome may be, but we just have to trust the process. The goal of the project is to include the audience in our process and to allow them the opportunity to raise questions concerning their own identity and become more aware of their own history. 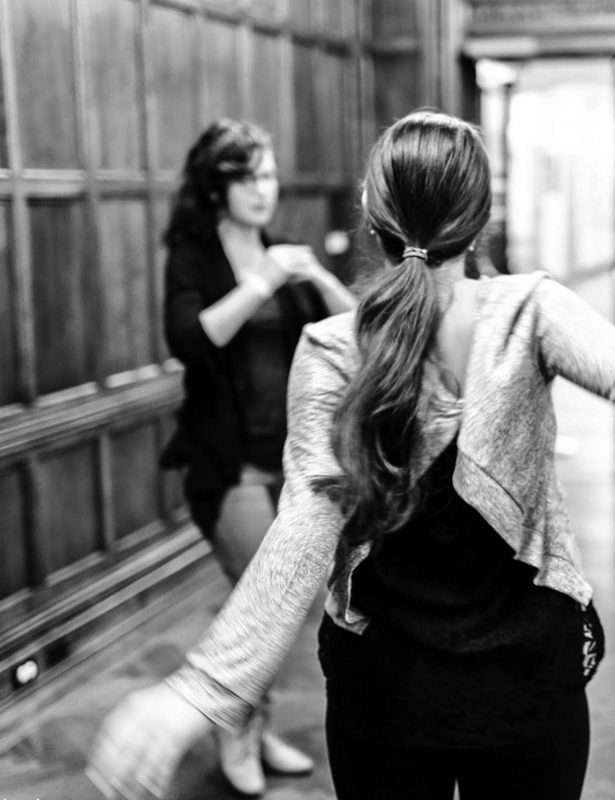 The ensemble creates their work through a series of workshops, trainings and improv sessions, where we explore deeper human experiences through drama. 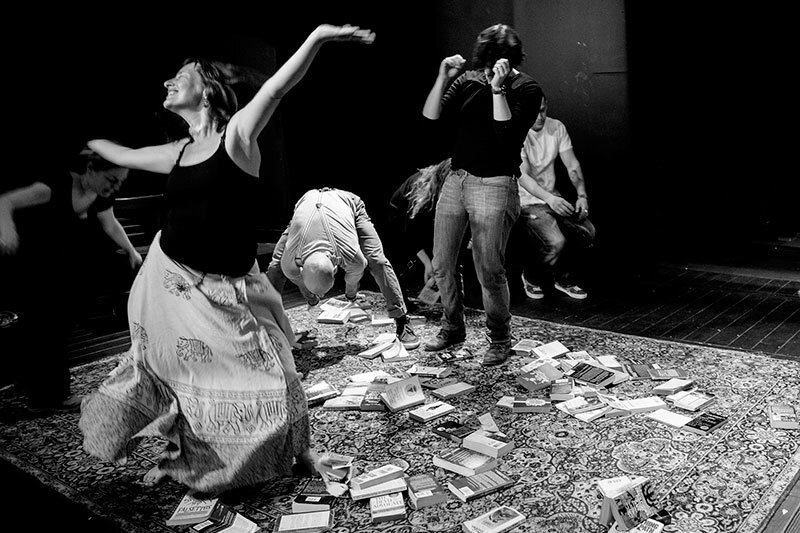 Since the creation of the Lost & Found Project, the troupe created and performed three original productions, both nationally and internationally: DOROGA (2011-2012), COVERS (2013-2014), KNOCK (2015), The King of Chelm (2015); and is set to tour in the fall of 2016. 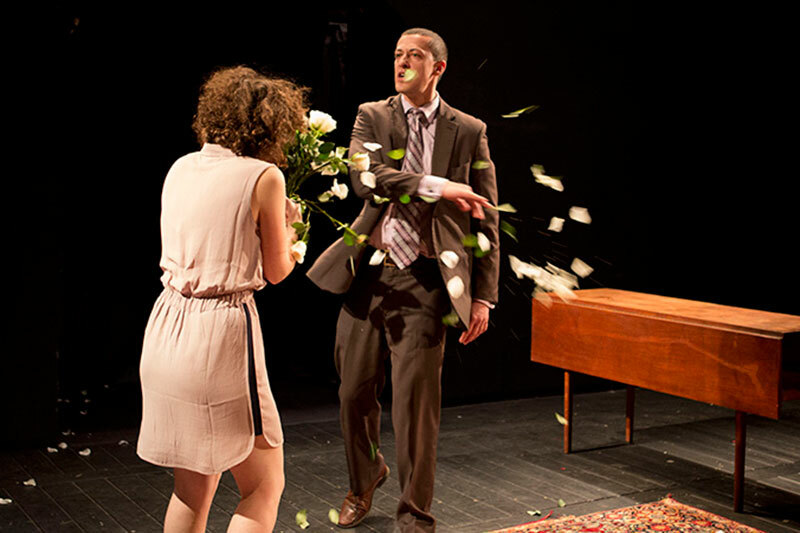 In March 2013, Lost & Found Project became an affiliate and key program of the FolksbieneRU division, which is a partnership initiative of the Genesis Philanthropy Group and National Yiddish Theatre-Folksbiene. Alya Adelman - was born in Kharkov, Ukraine. Her acting career launched in her living room during frequent gatherings of family and friends. After moving to the U.S., she worked with talented director, Simon Rivkin, who led a Russian acting studio in Boston. In New York, she continued advancing her career at HB and Terry Schreiber studios, as well as learning modern dance techniques with legendary Mary Anthony. She is very excited to be a part of the troupe! 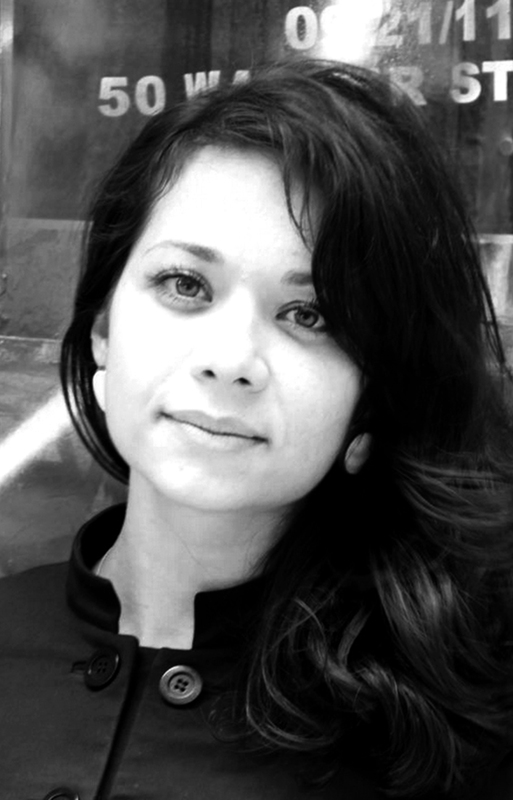 Anya Zicer - Founder & Curator of the Lost & Found Project. 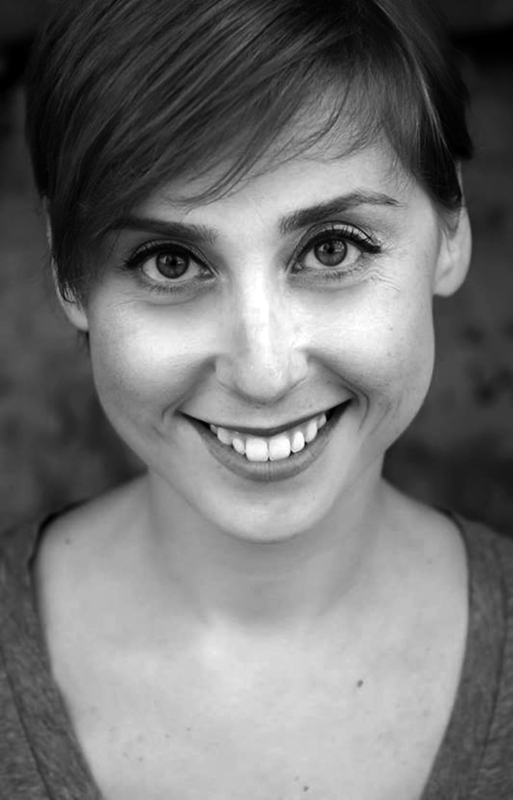 Anya is a producer, actor, drama instructor, facilitator and educator. A true beliver in the synergy between Education and Drama. 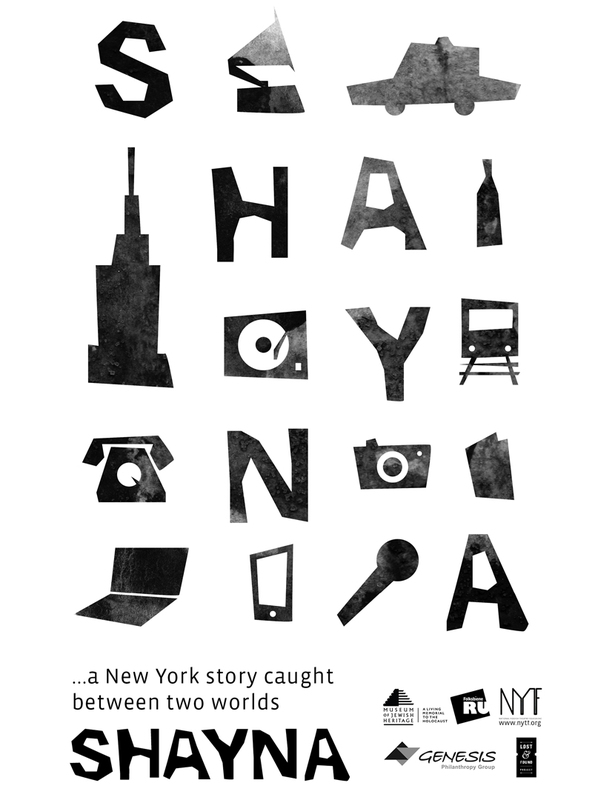 Born in St. Petersburg, raised in Israel she currently juggles a number of hats in NYC. 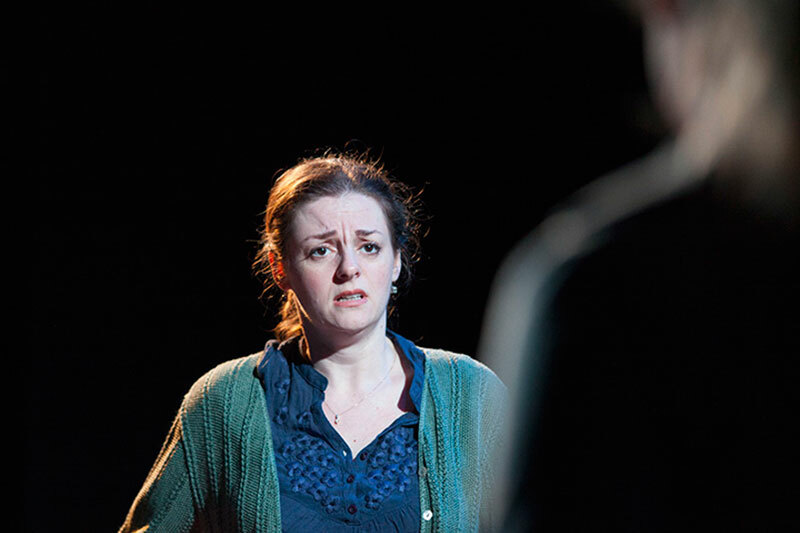 As a daughter of a theatre director and a the close connection with the Mihoils family, naturally Anya was passionate about experimenting within the performing arts from a very young age. After graduation from AADA, she found Lost & Found Project in 2011 in hopes to create a unique ensemble laboratory which through the verbatim technique is bridging personal narratives and explores the dialogue between the past and present, the self and surrounding. Among her producing partnership are organizations such as National Yiddish Theatre Folksbiene, ISRAMERICA and Zebra. Some of her favorite roles were "COVERS" (Sharon), "A Doll’s House" (Nora), "Crimes of the Heart" (Babe), "Chanoh Levin" (Chefetz). 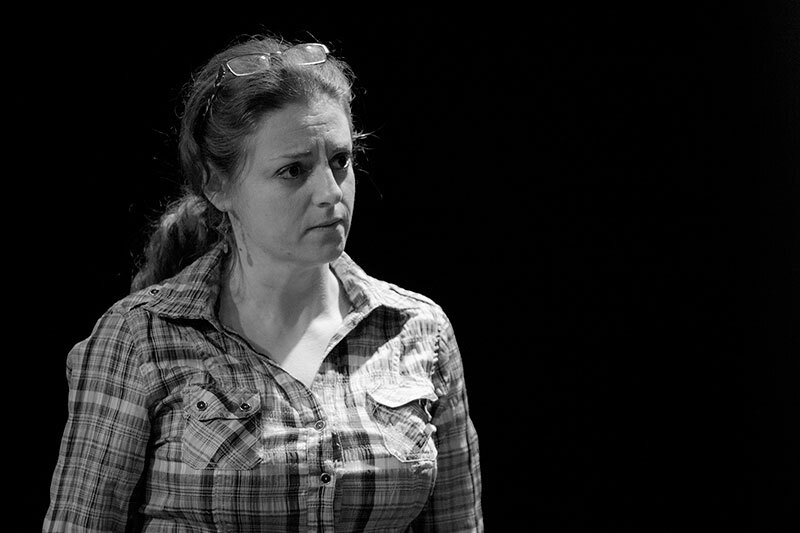 Anna is a great supporter of ensemble work and the field of experimental theatre. 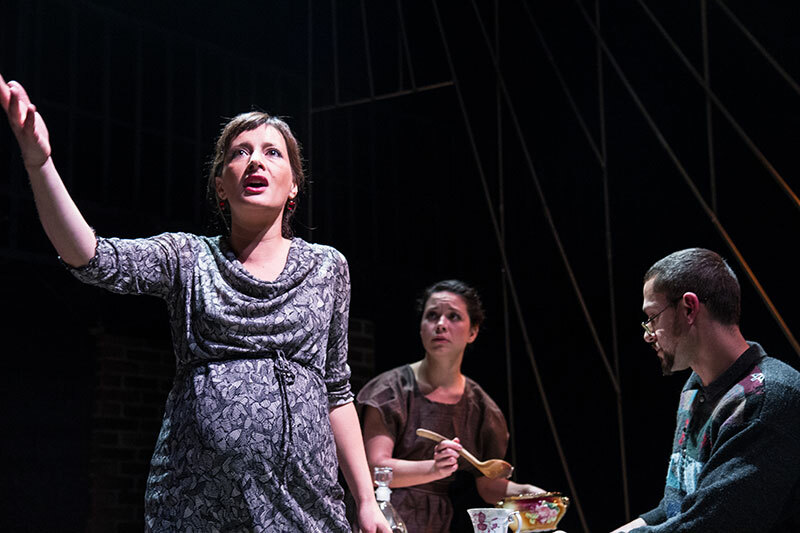 Anya is grateful for the generous support of Genesis Philanthropy Group, as well as, Cojeco and The National Yiddish Theatre Folksbiene for all their support and collaboration. A huge thank you to Bryna Wasserman for taking Lost & Found under her wing and featuring it as a leading project of the FolksbienRU division. Boris Zilberman is a writer, actor, and comedian from New York City. 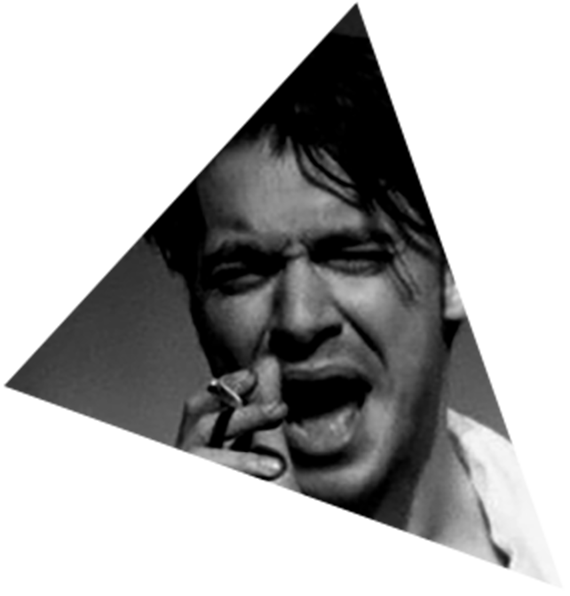 A founding member of Lost&Found Project, he performed in both prior L&F productions, Doroga and COVERS. He is also the co-writer of COVERS (Best Production, Art Okraina Festival 2013), and adapted and wrote original material for KNOCK. TV Credits include Perfect Murder (Investigation Discovery), and Monumental Mysteries (Travel Channel). As a comedian, he appeared in the finals of the the national Laughing Skull Comedy Festival (2013), and has studied and performed improv (UCB, PIT, Magnet) since 2008. Other credits include Holografx, an award-winning 3D holographic board game, and Birthright: Monologues, a personal spoken-word/hip-hop reflection on Jewish identity. His favorite thing in the world is getting on a plane to go perform somewhere, and he hopes to do it forever. He could not be more excited to return to the stage with L&F in KNOCK in 2015! Darya Ekamasova - was born into a very musical family in Moscow, Russia. From a young age, Darya attended a conservatory of music, where she studied piano. 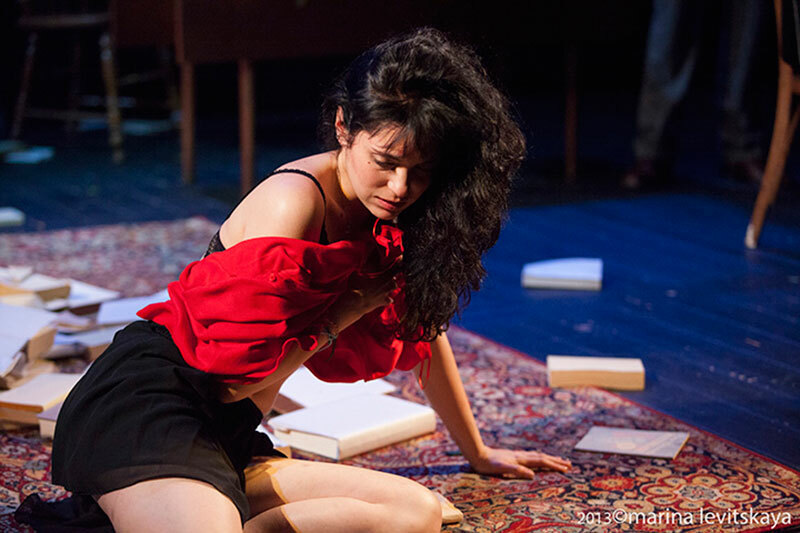 Darya's acting career began during her first year in college when she appeared in Valery Meladze's music video. In 2002, she broke into film, as the role of Chicholina, a homeless teenager in “Spartak and Kalashnikov", directed by Andrey Proshkin. Following her graduation from Russian Academy of Theatrical Arts (GITIS), under the direction of Alexander Prokhovschikov, she starred in several films, such as, "Doctor Zhivago", "Live and Remember" and "Free Floating". In 2011, Darya gained her fame playing the lead in the film "There Once Lived a Simple Woman", directed by Andrey Smirnov, for which she received numerous awards including the "Nika", a very prominent award in Russia for Best Actress. 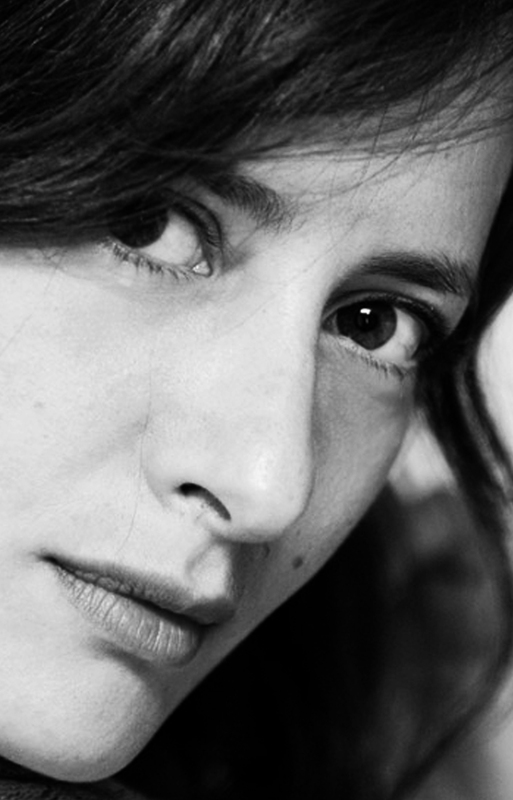 Some of Darya's most recent films include "Fourth Dimension"- an American production, "Scribblers", "Legend Number 17", and "Angels of the Revolution", directed by Aleksey Federchenko, which premiered in Lincoln Center. Darya is also a member of Moscow's famous Teatr.Doc, performing in their award winning production "Life is Good!" 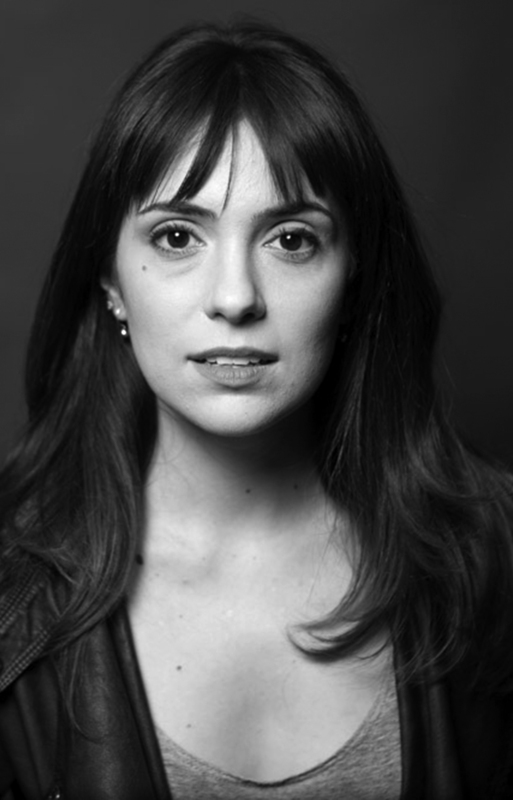 Darya is thrilled to partake and join the ensemble in the latest production of "KNOCK" by Lost&Found Project and make her premiere on a NYC stage! 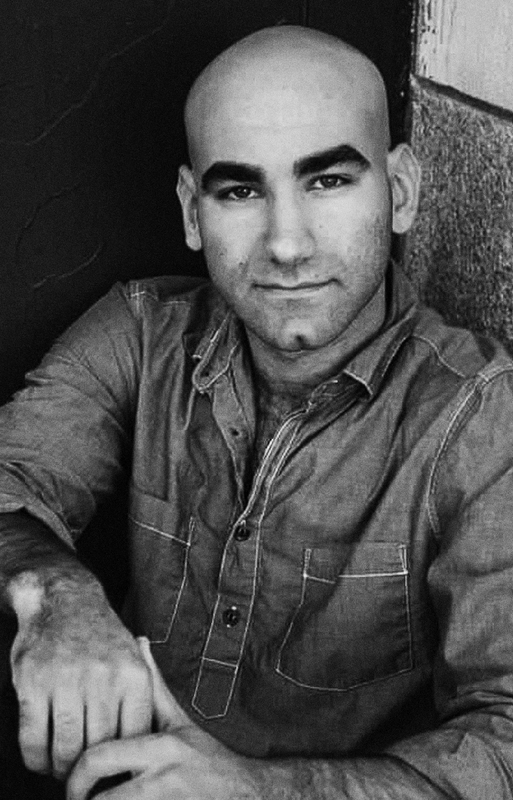 Gera Sandler is an actor, stage director, and TV and Radio personality. After immigrating from Moscow to Israel in 1990, Gera graduated from the School of Performing Arts "Beit Zvi" in 1997, receiving six prestigious awards. Sandler played in the Gesher Theatre in "Don Juan" by Moliere, as well as the Theatre of Young Spectators in "The Last Devil" by Bashevis Zinger. 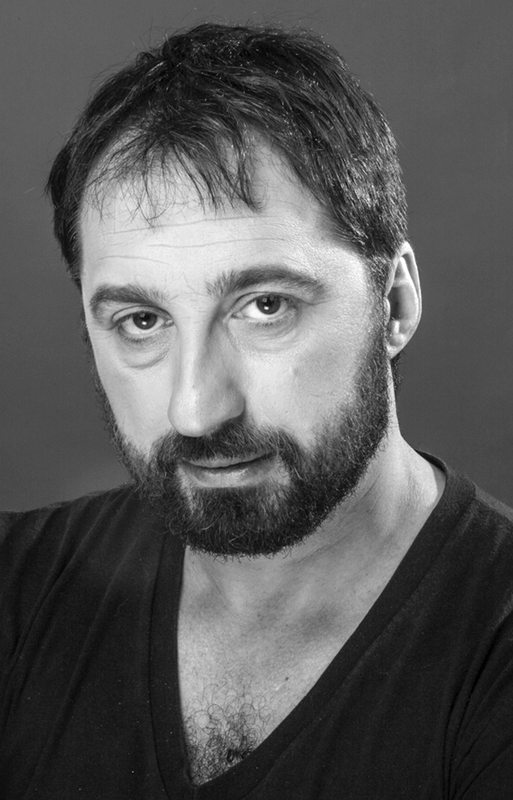 For the past twelve years Sandler has been one of the leading actors in the Yiddish Theatre in Israel. His prominent roles include Nathan Rothschild in american musical "The Rothschilds," Hershl in "Simple Story" and Yasha Mazor in "The Magician of Lublin". 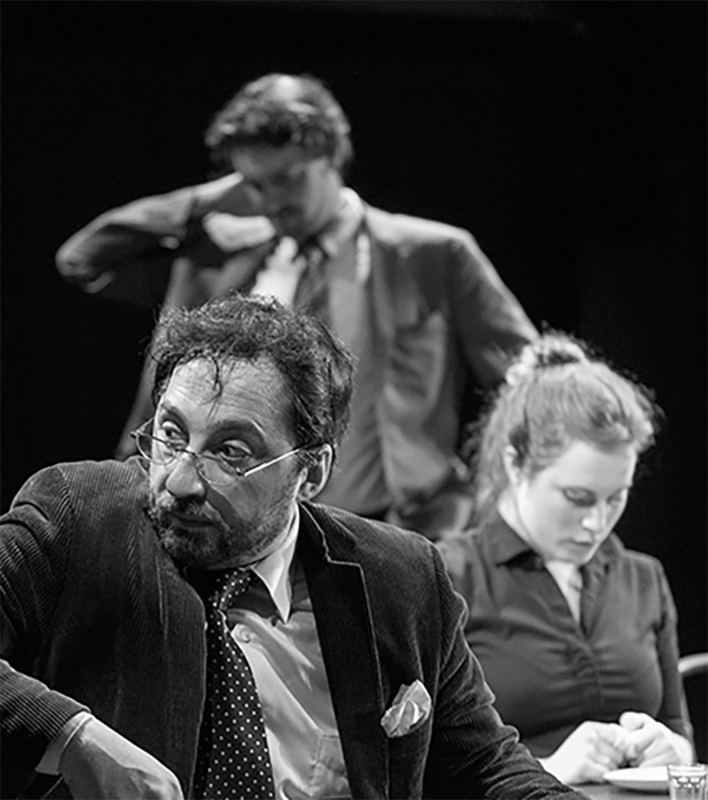 As a stage director he directed 7 productions, among them 4 operas including Don Pasquale by Donizzeti in Jerusalem Chamber Opera. Sandler also hosted three personal TV shows on Israel’s Channel 9. Sandler's film credits include "Jellyfish" (winner of three awards at Cannes Film Festival, including the "Golden Camera" award), "Stones", "Dance Mom" (winner of first prize at the all-Israeli short film competition "Volgin"), "Children of the USSR" and over thirty other movies and series in Israel. Sandler is also a famous israeli voice-over actor and director, he is famous for the voice of Bloo in "Foster House Imaginary Friends" series for Russian Disney Cartoon Channel and for his voice of Dracula in the Hebrew version of Adam Sandler's cartoon "Hotel Transylvania". 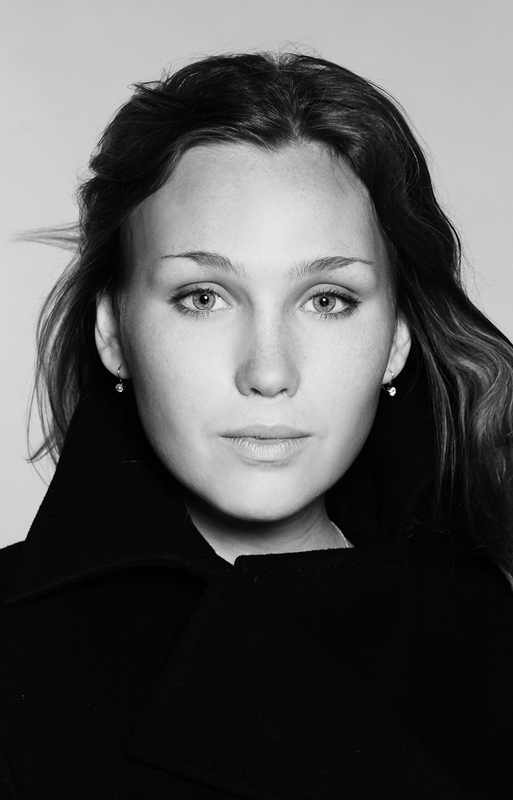 Jane Tuv - immigrated to New York from Odessa, Ukraine. She is a freelance writer and editor with a big passion for child education and fine and performing arts. She co-founded Arlekino Theater Troupe to instill an appreciation for the arts and Jewish heritage in young children through art, dance, music, and drama workshops.She currently teaches pre-school age children about Jewish traditions and practices at the JCC in Manhattan. Jane is thrilled to be part of the Lost & Found Project and to have the opportunity to unearth her rich Jewish history and share it with the public. Jordan Elizabeth Gelber -is an actress and entrepreneur from New York City, currently residing in Brooklyn, who has always been a lover of the performing arts--from putting on shows in her parents' kitchen when she was a kid to playing numerous roles both onstage and off. She graduated from Marymount Manhattan College in 2010 with a B.A in Graphic Design and Communication Arts and has been working as a professional actress since 2007. Her recent projects include One Life to Live, Play Hooky, The Merchant of Venice, and playing Harley Quinn in a Nightwing based webseries. She is very excited to be a part of the Lost & Found Project and connect to her roots while forming new friends within her community. When she isn't acting, she is busy running her entertainment and fashion marketing company, Starbaby Enterprises. Marina Reydler was born in Moldova and raised in Brooklyn, NY from the young age of 6. 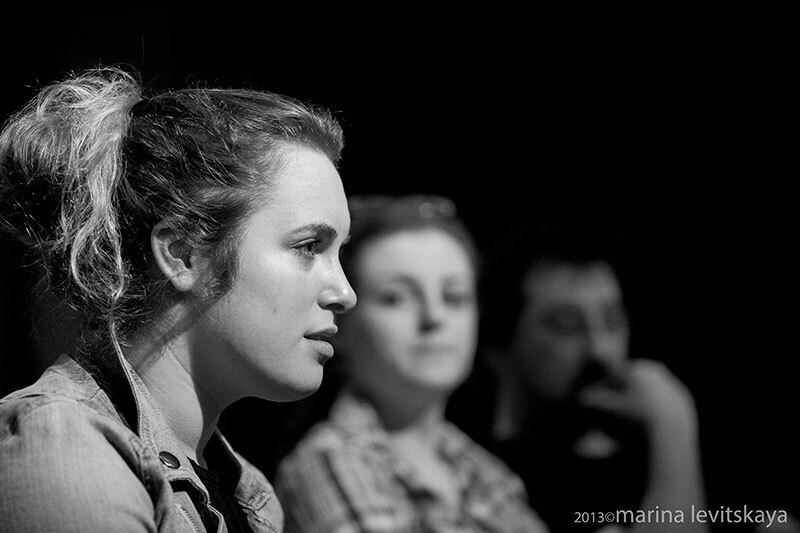 Marina is an actor, director, theatre instructor and dreamer. Her interest in acting peaked at the very young age of 10, and appearing on TV was the biggest dream for a little girl! With much support from her family, Marina attended various acting institutions and soon graduated from The American Academy of Dramatic Arts, after which she was lucky enough to work on numerous film, TV and theatre productions in NY, LA, Moscow and Israel. 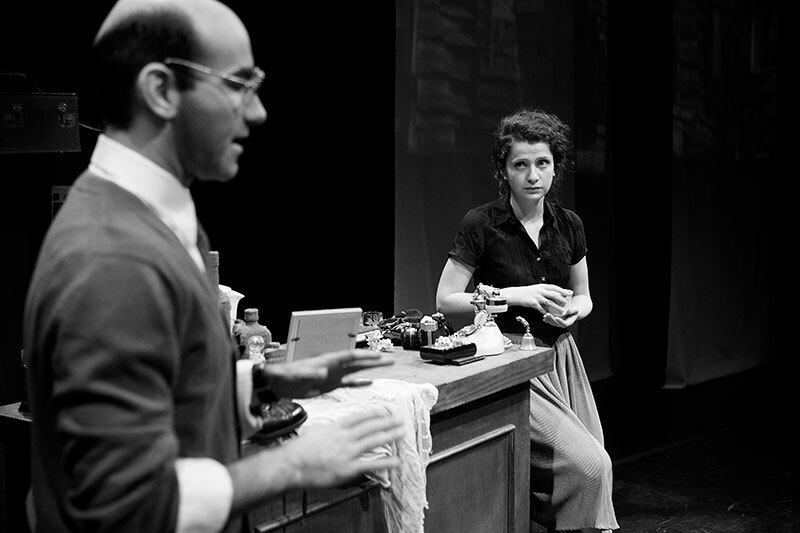 Marina has recently began similar work in guiding Teens through their personal exploration of themselves and their family history, through the art of theatre--which, in her opinion, is the best platform for research and discovery. She finds this work to be challenging but oh, so rewarding! Masha King - is a Ukrainian born actress who attended the American Musical and Dramatic Academy and has been acting in NYC for over the past 10 years. Her recent work includes; The Anne Frank Center USA, playing Anne Frank in 2 productions; Conversations With Anne (one woman show, featured in the NY Times), and Letters From Anne and Martin. She has two Indie features which are due to come out in 2015; The Videoblogs (Cass, leading) and Lonely Boys (Michelle). The feature film GIRL'S Night (Serena) premiered at the 2014 Big Apple Film Festival and is continuing its festival circuit Winter 2015. Other notable commercial and media projects include BJ's, Campbell's Soup, CollegeHumor.com, Investigation Discovery Network, and the IFC Network. 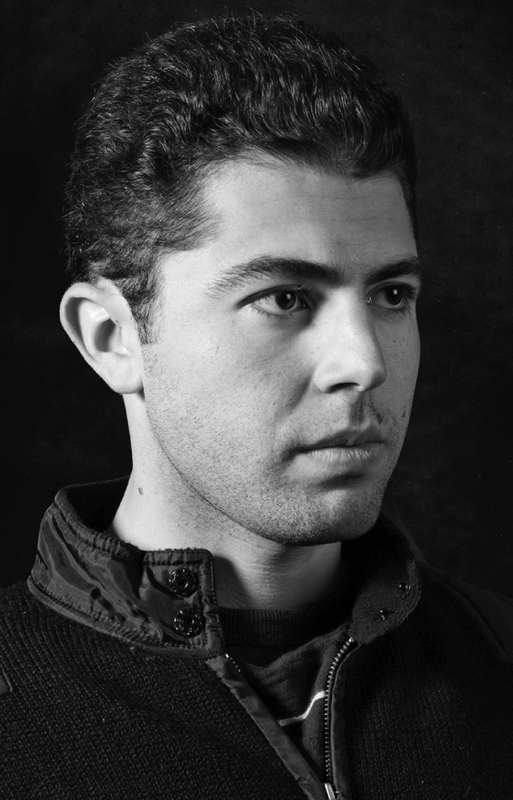 Ruslan Verkhovsky was born in Siberia on an Army base in the town of Chita. Later, moved to Bryansk with his mother, where he was raised. The two immigrated to the U.S. in 1987. Ruslan’s interest in acting came at the early age of 5, when his mom would to take him to the movie theater once (or even twice) per week. 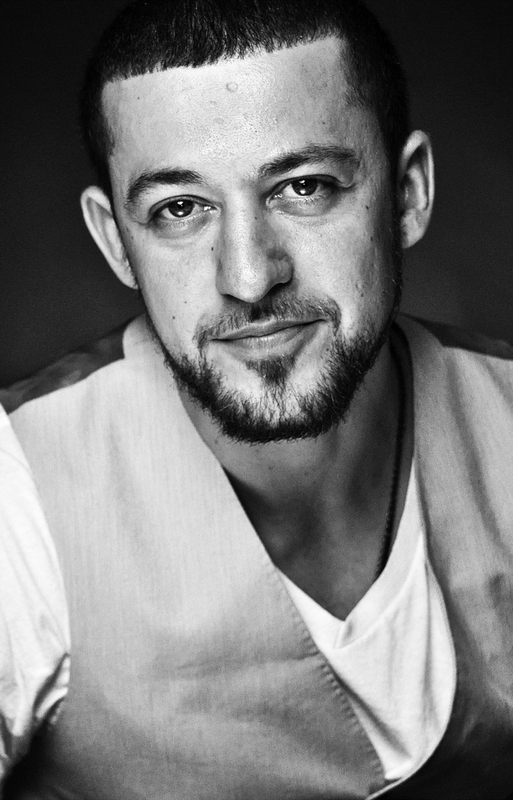 After working on his craft with an acting coach, Ruslan starred in a few independent films, as well as, in music videos of well known and up-and-coming artists. His most recent work is a full length feature film, The Psychotics (where he plays an FBI agent), as well as the award winning show by the Lost & Found Project - "COVERS", with which he got an opportunity to go on tour to Russia for the first time since immigrating to the U.S.
Ruslan is extremely happy and proud to be part of the Lost & Found Project. This is a great opportunity to be part of something so personal to him and he has great expectations for the new production KNOCK. Ruvym Gilman - was born in New York City to a proudly anti-Soviet family hailing from Ukraine and Lithuania. With Russian as the only language spoken at home during his childhood, Ruvym's English skills languished until the third grade. Making up for lost time, Ruvym went on to get his BA in English Literature from NYU and then his JD from NYU Law. When he's not lawyering and using Latin words to describe simple ideas in unnecessarily complicated ways, Ruvym drinks coffee, writes, acts, and expounds on the virtues of Brooklyn. Ruvym's written work has also been featured as part of the short story compilation What we Brought Back. 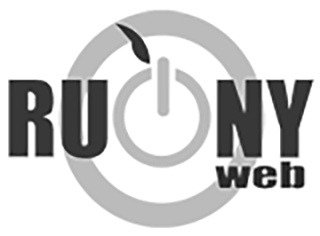 Some of Ruvym’s acting appearances include: Birthright Israel NEXT's spoken-word show Monologues, the webseries Krazdale, and the feature film Know Your Logic. 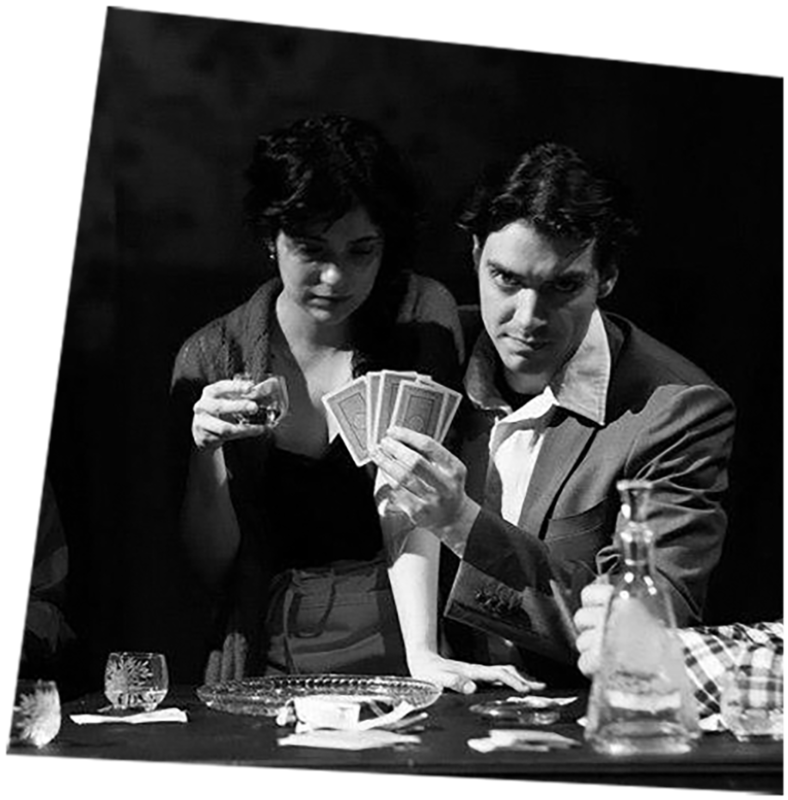 Ruvym has been a part of Lost & Found Project since its founding in 2011 and has co-written as well as performed in each of the ensemble's productions - Дoroga and Covers. Ruvym is excited to be a part of this talented group of actors and dreamers. Special shout-out to Ruvym's biggest fan - Effie. Sergey Nagorny received his acting training at the American Academy of Dramatic Arts in New York and has been acting professionally for the past seven years. He is proud to be freelancing with Abrams Talent and DDO Agencies. Most recent roles include Yakov in STEPS Theater's "Ask Jospeh", Alex in L & F Project's award winning production of "COVERS", and KGBMan in Essie Martsinkovsky's "About Face". Sergey was also seen on the Second Season of FX's "The Americans", and is a one of the voices for the Russian syndication of WWE. He has been with the Lost & Found Project from the very beginning and is beyond excited to see the distance they have traveled as a theater troupe, as well as the bond they formed as individuals. Elena Rickman was born in Gomel, Belarus, and came to the US in 1993. Selected theater credits: “Angels in America”, “The Caucasian Chalk Circle”, “Macbeth”, “Manhattan Bible”, “The Lilac Minyan”, “Lady of Copper”, “Ghetto Cabaret”, etc. 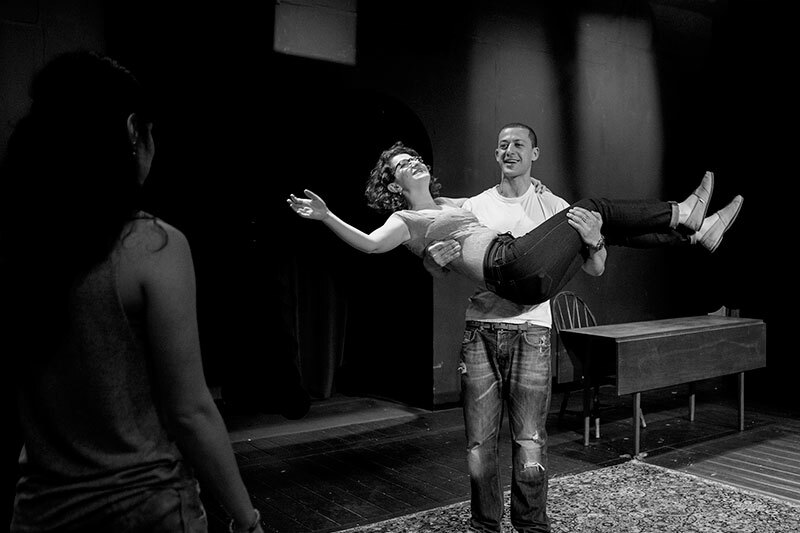 She is thrilled to be back with Lost & Found after making some serious theater magic with them in “COVERS” last year. 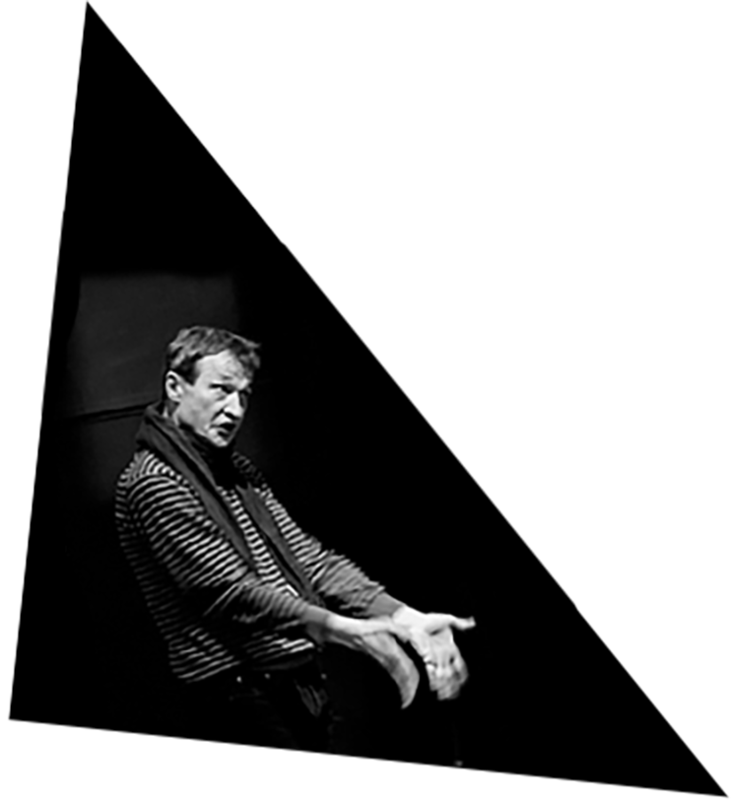 Alexandre Marine (Director, COVERS, KNOCK) is a founding member of the Tabakov Theatre in Moscow and the founding artistic director of Théâtre Deuxième Réalité in Montreal. He began his career as an actor in Moscow. Among his many roles, were, diametrically opposite parts, such as, Khlestakov in Gogol’s “The Inspector General” and Raskolnikov in Dostoevsky’s “Crime and Punishment”. 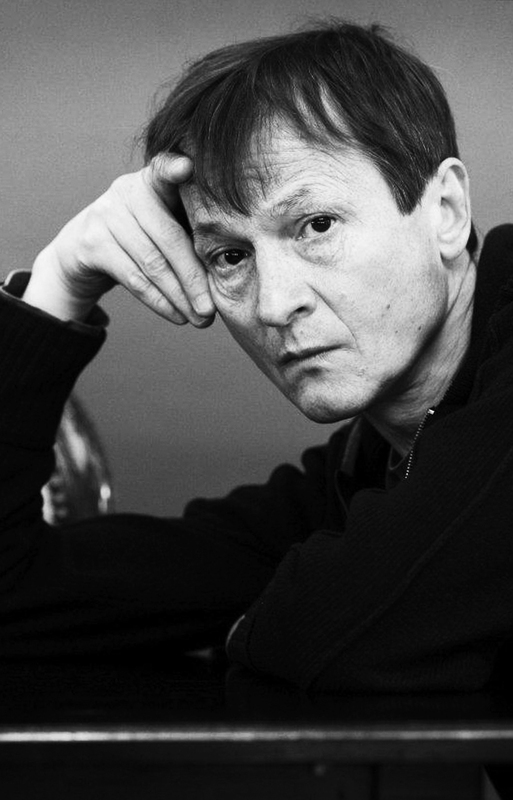 As a stage director he has directed over 70 productions in Moscow, Montreal, New York and Toronto. 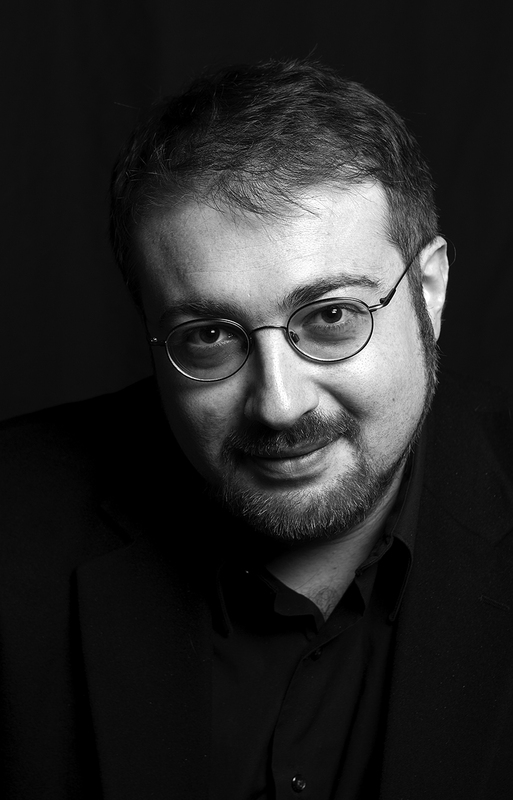 His Montreal productions include: Hamlet (1999), Amadeus (2007, Segal Centre), and Mary Stuart (2008) that were awarded the Production of the Year awards by l'Association québécoise des critiques de théâtre. 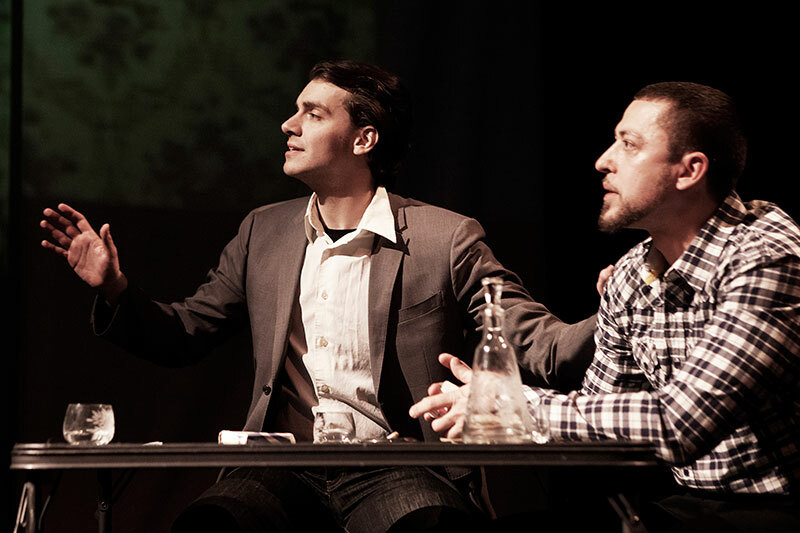 His adaptation of Dostoevsky’s “The Possessed”, entitled “…The Itsy Bitsy Spider…” (2010), produced by New York’s Studio Six, won the Best Production Award in Baltimore’s City Paper. His productions of “A Streetcar Names Desire” (2006) and “Blue Rose” (2011), and an adaptation of Tennessee Williams’ “The Glass Menagerie” (2006) were also recognized by the Amur Autumn festival in Blagoveshensk, Russia. His productions at the Moscow Art Theatre and the Tabakov Theatre have toured extensively in Russia and Europe. Recent directorial credits include: J.M.Coetzee's “Waiting for the Barbarians” at Cape Town's Baxter Theatre (with a subsequent run at Montreal's Segal Centre), “Sister Hope” based on Volodin's play “The Elder Sister” and “Marriage 2.0”, based on Chekhov's short works at the Tabakov Theatre in Moscow, “Transfigured Night”, based on Arnold Schoenbel’s eponymous work with Montreal’s Orchestre Nouvelle-Génération and Théâtre Deuxième Réalité and “Gorky's Vassa” at Théâtre du Rideau Vert. Marine has also taught at the National Theatre School of Canada, Harvard’s Institute for Advanced Theatre Training and at the Moscow Art Theatre School, as well as at a number of US and Canadian universities. 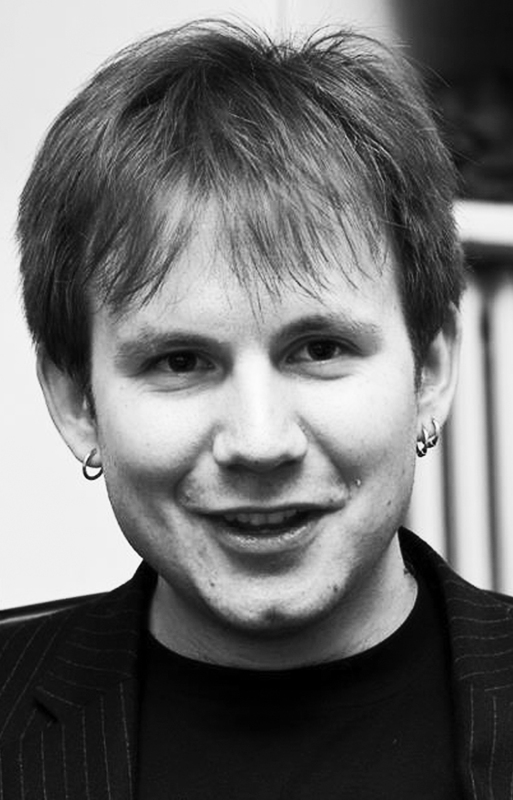 He is the recipient of the Distinguished Artist of Russia Award. 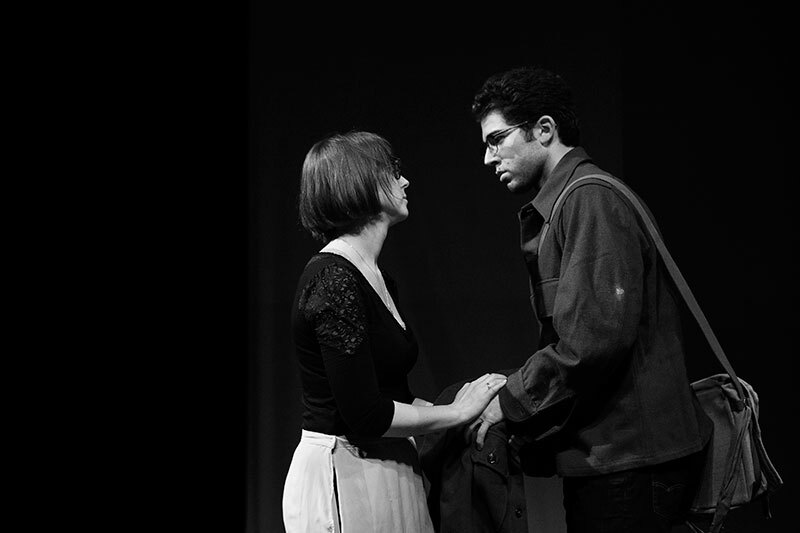 Ben Sargent (Director, ДOROGA) trained in Moscow at the Moscow Art Theater School-Studio (MHAT), receiving his Masters of Acting in 2005. 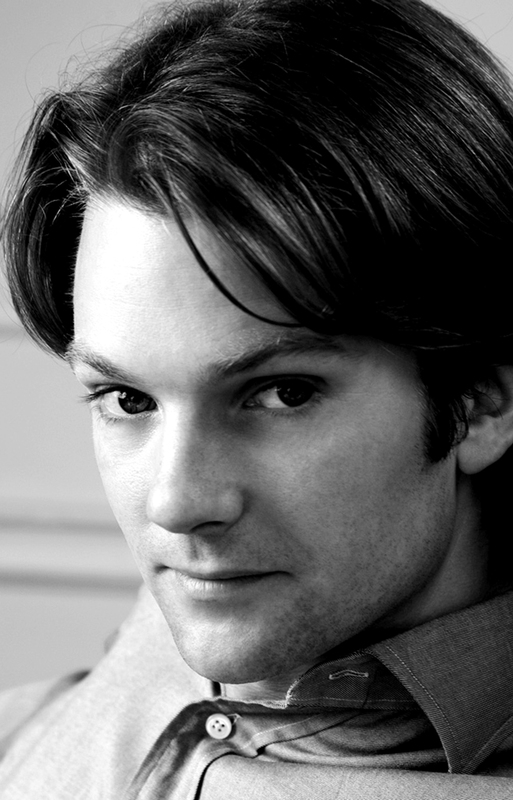 He’s been directing, acting and teaching theater in New York City since 2006. 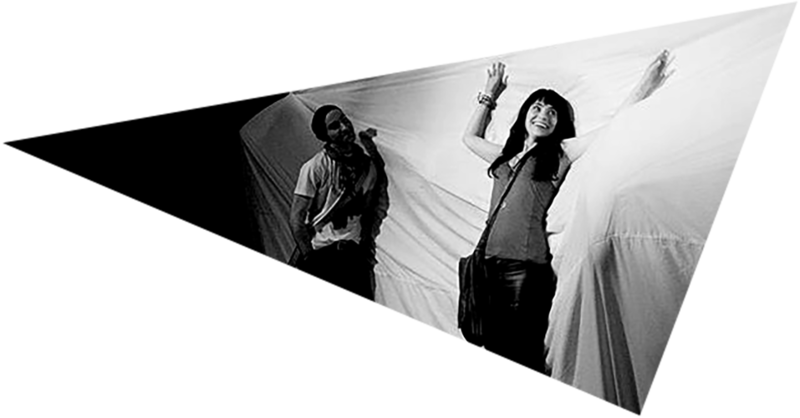 His most recent directorial work was seen in July 2011 at The Chelsea Art Museum with a piece titled La Cueca. Ben's other directed works include I Chekhov and The Gogol Project. 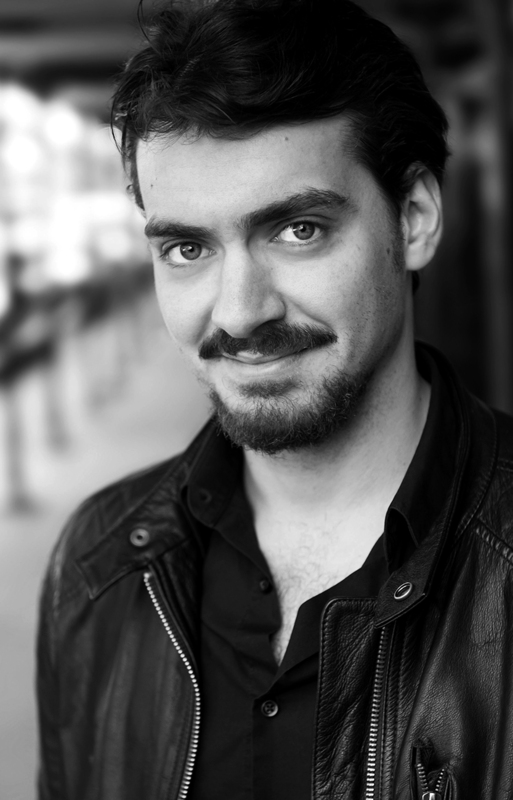 As a company actor with Studio Six, he performs in New York, Moscow, Boston, Montreal, Baltimore, and Bridgeport. 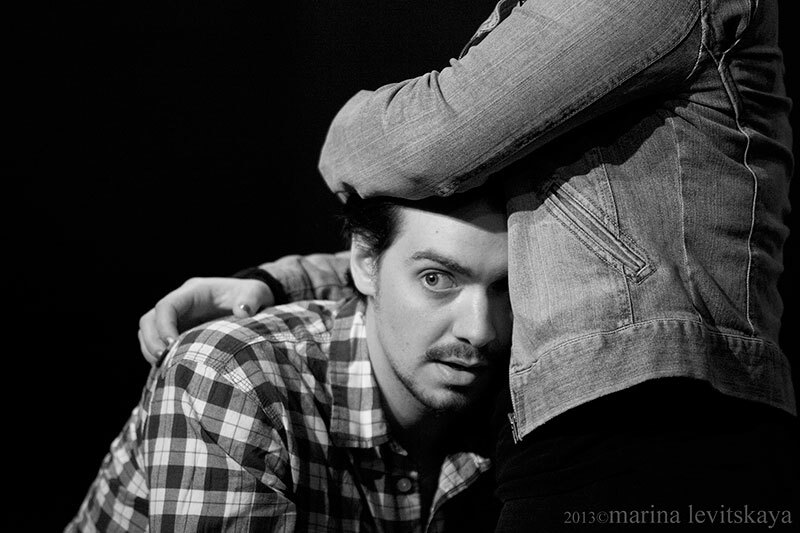 He also taught Movement for the Actor at The Lee Strasberg Institute for Theater and Film from 2008-2011. Ben became part of the Lost & Found Project for the creative process of building an ensemble, writing a play, and artistic collaboration. The nature of the project is discovery not only in the research the actors collect but also artistically because we don't have a play, roles or text to guide us. We must develop it together and therefore, create a common language, as well as, a strong group dynamic to solve the problems we encounter along the way. Opening ourselves to the experiences of immigration by deeply exploring the circumstances of it will help us discover the natures of the stories. 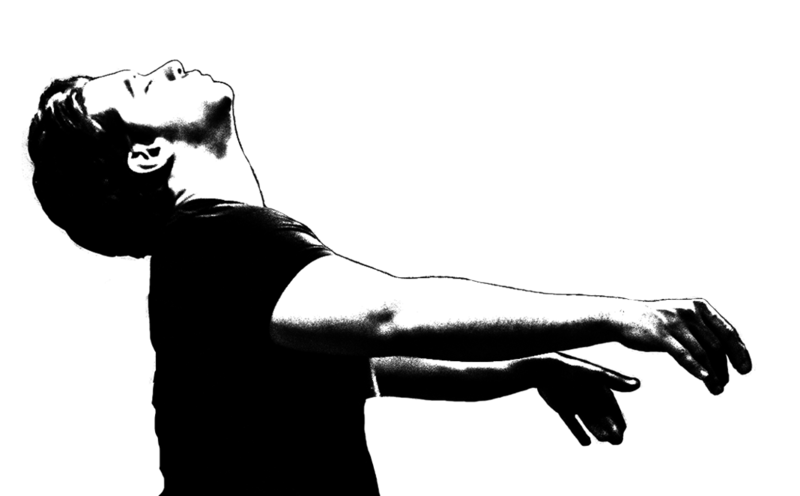 Lastly, it will be the audience and the experience of performing that gives us a true understanding of the material. Ultimately, Ben’s role is to ensure that all of that comes together. 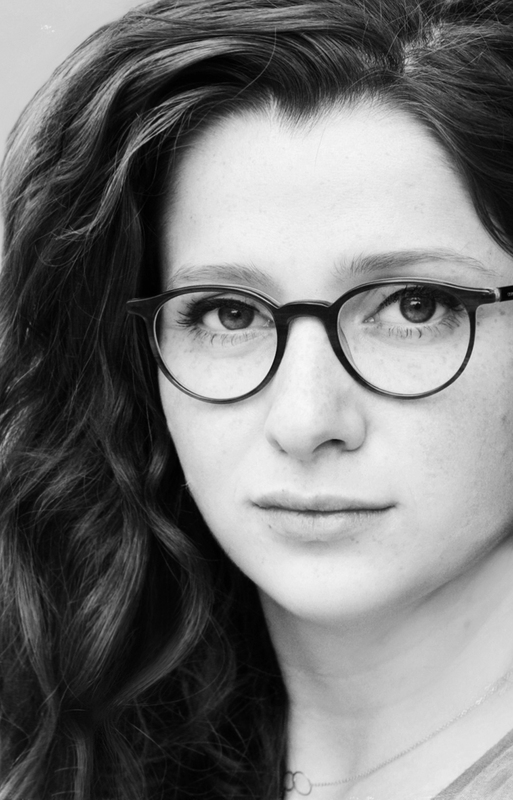 Bryna Wasserman (Honorary Artistic Director, ДOROGA) was recently appointed Executive Director of the National Yiddish Theatre- Folksbiene, a graduate of New York University with an MFA in Directing. 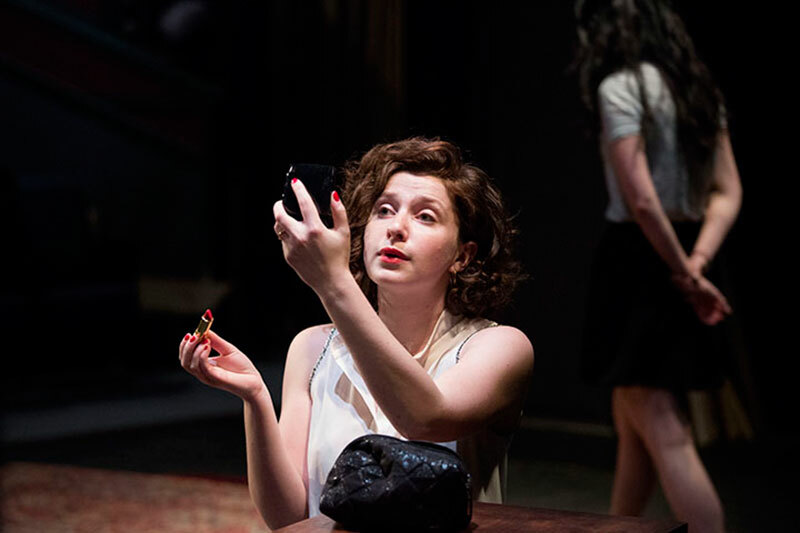 Born in Vienna, Bryna grew up in the theatrical milieu of her mother, Dora Wasserman, a student of Mikhoels at Moscow’s GOSET Theatre and the Founding Artistic Director of Montreal’s Yiddish Theatre. 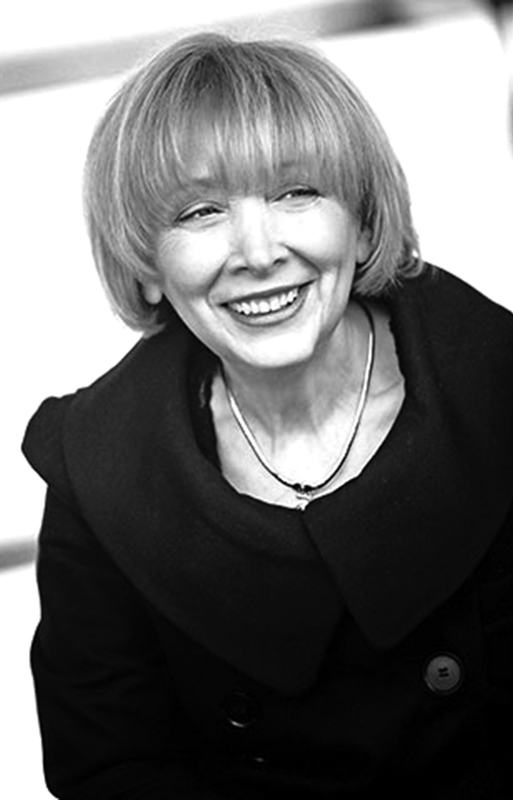 In Bryna's 15-year career as Artistic Director at the Segal Centre for Performing Arts in Montreal, she brought the English theatre to national prominence, designed and shepherded in a new, multi-faceted performing arts centre and modernized the Yiddish Theatre. Among her other accomplishments are building ties with French theatres, developing national and international theatre tours and continuing her mother, Dora Wasserman’s, legacy with the first-ever Montreal International Yiddish Theatre Festival and the revival of her youth theatre, YAYA (Young Actors for Young Audiences), which won a 2008 YMCA Peace Medal for promoting tolerance. 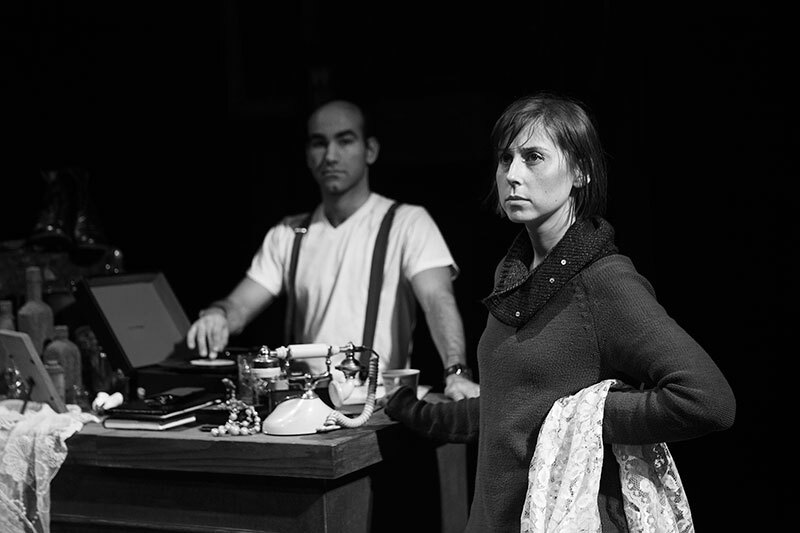 Some of Bryna’s more recent directing credits at the Segal include: Houdini, The Musical for The Festival International de Jazz de Montréal, Man of La Mancha, The Apprenticeship of Duddy Kravitz, The Jazz Singer, The Pirates of Penzance, God of Vengeance, Fiddler on the Roof, Double Identity, The Dybbuk, Those Were the Days, Lies My Father Told Me, and On Second Avenue, the Drama Desk nominated co-production with the National Yiddish Theatre–Folksbiene of New York. The theatres under her wing garnered many Masque and MECCA awards while her contribution to Montreal’s English theatre was recognized with a Special MECCA of Distinction in 2000. More recently, Bryna was named Outstanding Citizen of the Côte-des-Neiges/Notre Dame de Grâce and received the Mlotek Prize (New York) for her contribution to Yiddish culture. 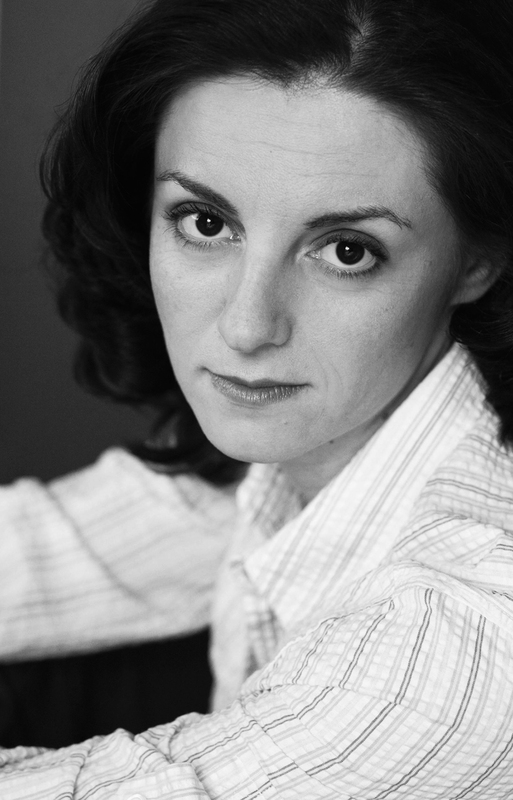 Prior to her outstanding career at the Segal Centre for Performing Arts, Bryna worked at the American Place Theatre, the Vivian Beaumont Theatre at Lincoln Centre, the Mercer Street Theatre, the Vancouver Opera Company, and the Folksbiene Playhouse. 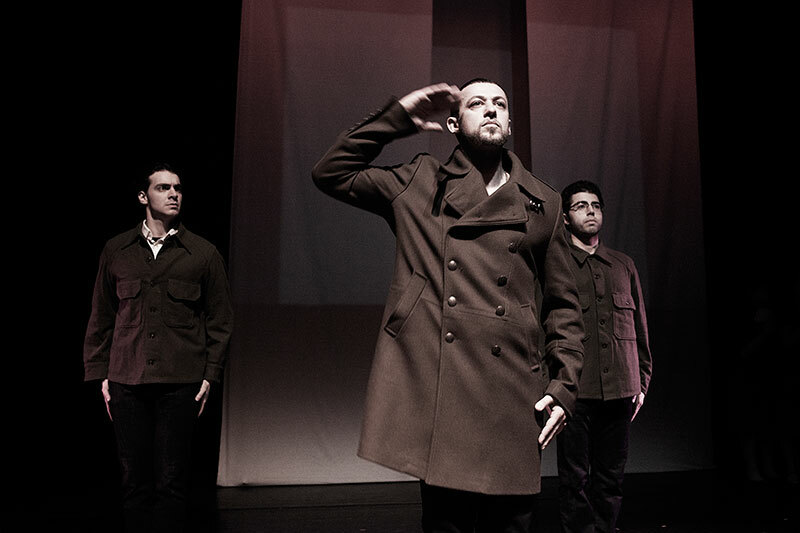 Dmitri Marine (Music Composer, COVERS) is a Montreal-based theatre composer. He has composed soundtracks for over twenty productions in Montreal, New York and Moscow. Recent credits include the soundtracks for Coetzee’s Waiting for the Barbarians (Baxter Theatre, Cape Town and Segal Centre, Montreal), Volodin’s Sister Hope and Chekhov’s Marriage 2.0 (Tabakov Theatre, Moscow), “…the itsy bitsy spider…” based on Dostoevsky’s The Demons (Studio Six Theatre Company, New York), Noel Coward’s Hay Fever (Moscow Art Theatre) and Blithe Spirit (Segal Centre, Montreal), as well as sound design for Shaw’s The Millionairess (Shaw Festival, Niagara-on-the-Lake) and Brecht’s A Respectable Wedding (Le Groupe de la Veillée, Montréal). Dmitri has also composed the music for Tetchena Bellange’s documentary film BLACK HANDS: Trial of the Arsonist’s Slave as well as Guy Sprung’s feature film The Hat Goes Wild. Dmitri “Zisl” Slepovitch, Ph.D. (Score Composer, ДOROGA) is a clarinetist, pianist, composer, singer, ethno-musicologist and educator; artistic director of Litvakus and Minsker Kapelye bands, Yiddish Language and Culture instructor at The New School. 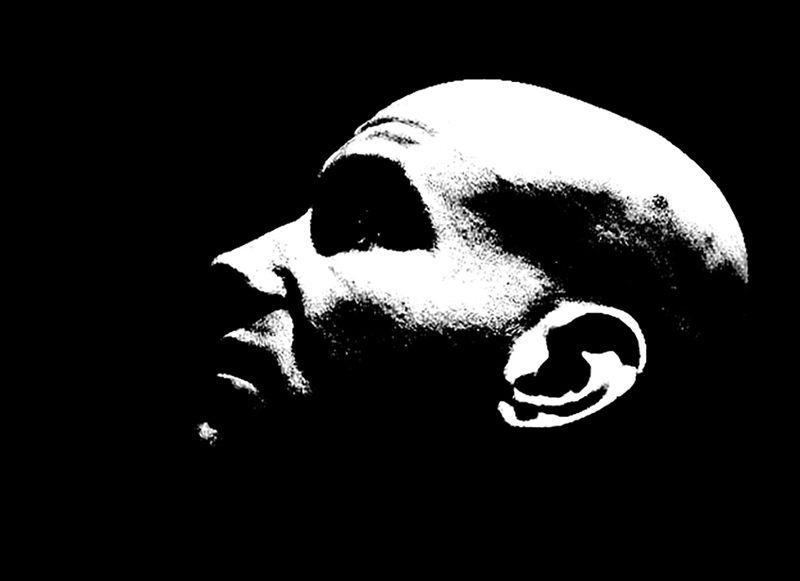 He has worked/recorded with Zalmen Mlotek, Frank London, Paul Brody, Hankus Netsky, Yale Strom, Psoy Korolenko, Michael Alpert, and One Ring Zero, to name a few. Zisl has worked as Musical Consultant and Music Director in several shows by the National Yiddish Theatre – Folksbiene, Castillo Theatre, and New Yiddish Repertory Theatre; performed and arranged music for various productions at The Folksbiene, Montclair State University, and Harvard Yiddish Players (Gimpel Tam, Shlemiel the First, Shulamis, The Adventures of Hershele Ostropolyer), as well as films, Defiance and The Burning Land; wrote original scores for The Two Brothers ballet, The Learning Play, and Agents (Agentn); taught at seminars in Jewish studies and Yiddish music worldwide, including BIMA at Brandeis University. 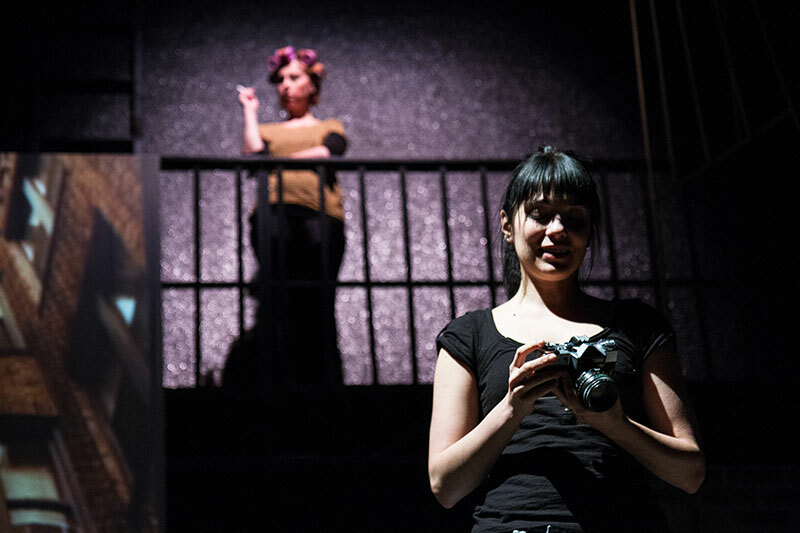 Verbatim technique- is a form of documenting testimonials from interviews or research that are connected to the topic that the play is focused on and used to construct the piece. 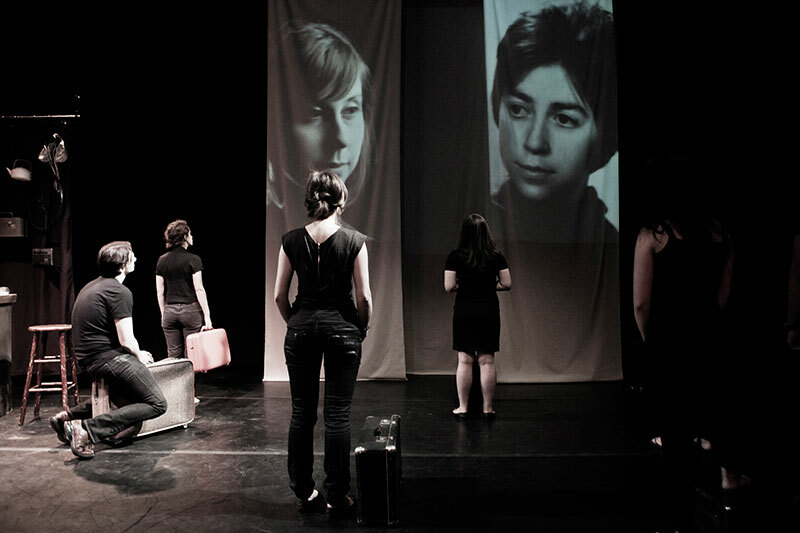 Verbatim theatre is a form of documentary theatre in which plays are constructed from the stories spoken by people/actors interviewed about a particular event or topic. 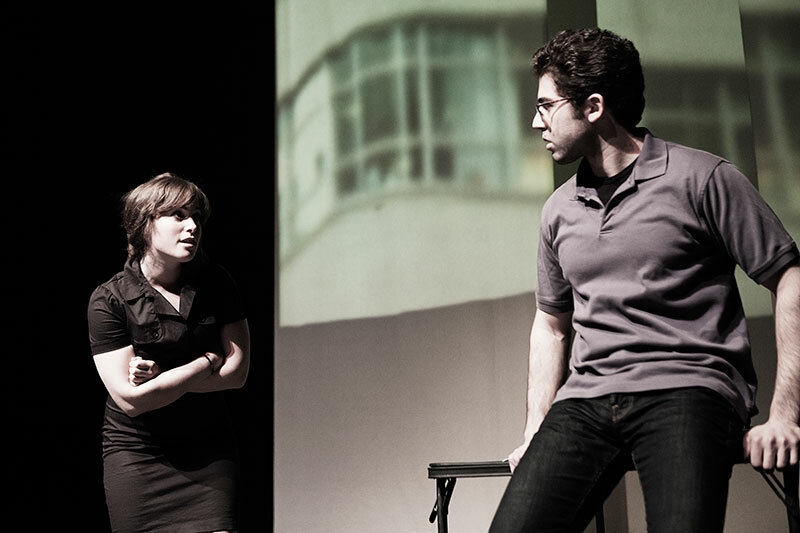 Verbatim theatre is not only mere entertainment for the audience but rather a form of reportage. 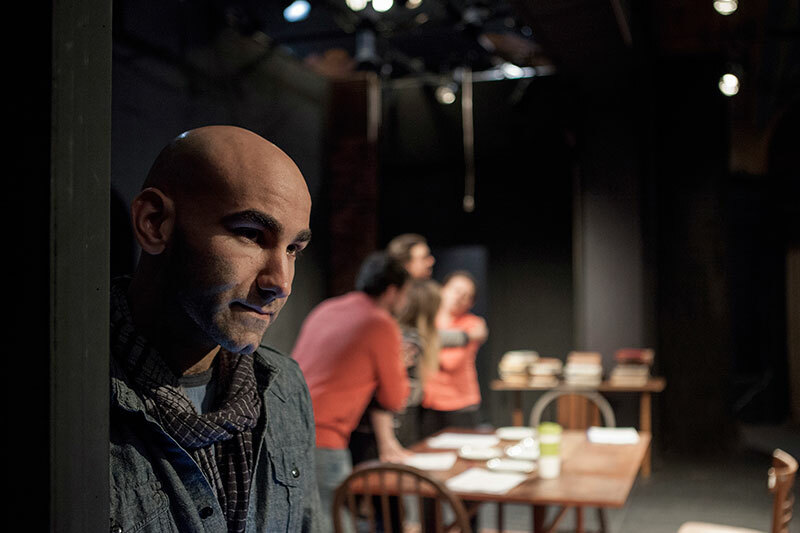 Lost & Found Project incorporates both the traditional Verbatim technique together with Dramaturgy: the process begins with the actors’ sharing in personal stories and bringing answers to the deepest questions. 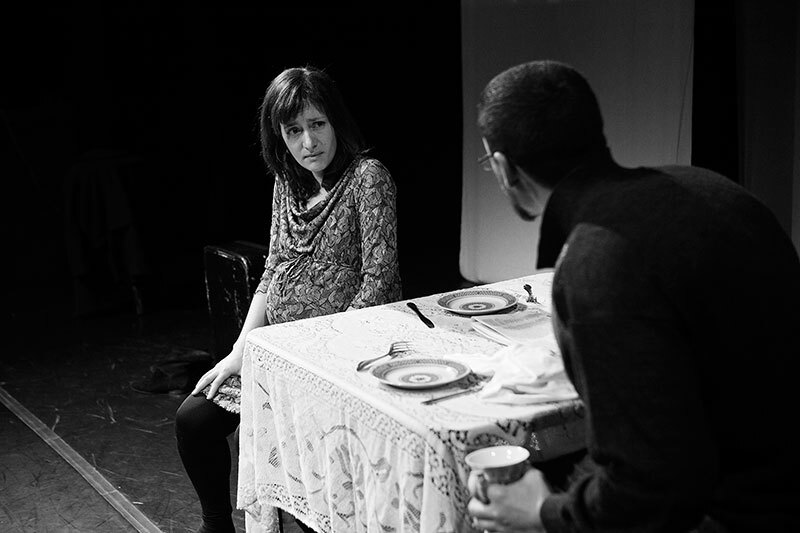 After which, the writing team interprets and develops these stories into a professional theatre script, which is used to develop into a stage production. The process could be daunting and struggling, as we never know what will be the outcome, but we just have to trust the process. Our Teen Drama Lab, taught by internationally acclaimed professional actors of the Lost & Found Project, is a place where aspiring young actors can develop their dramatic skills through etudes, improv, theater games, voice and movement exercises. Using the verbatim theatre technique they will explore their identity through family history and personal stories. 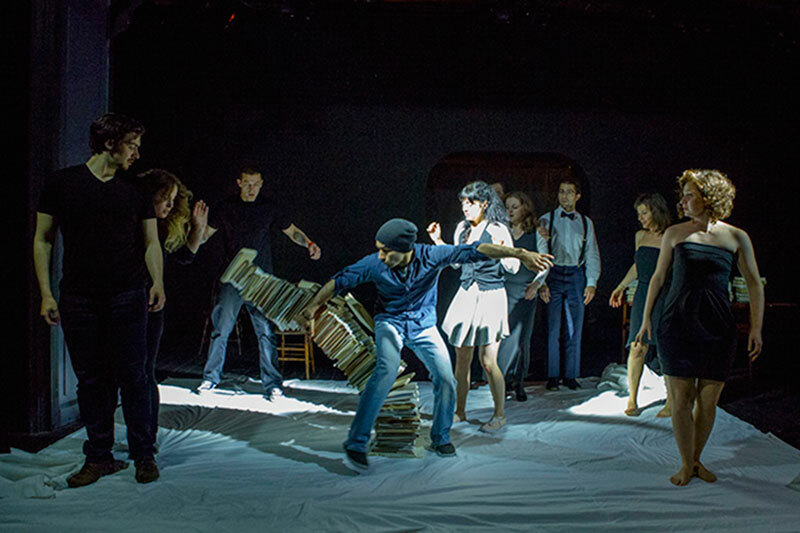 The course culminates in a performance at an NYC theater, where the students present their individually developed pieces. Sessions held at Marks JCH and JCC Manhattan. To sign up for the next course please send your inquiry to lostandfoundprod@gmail.com. 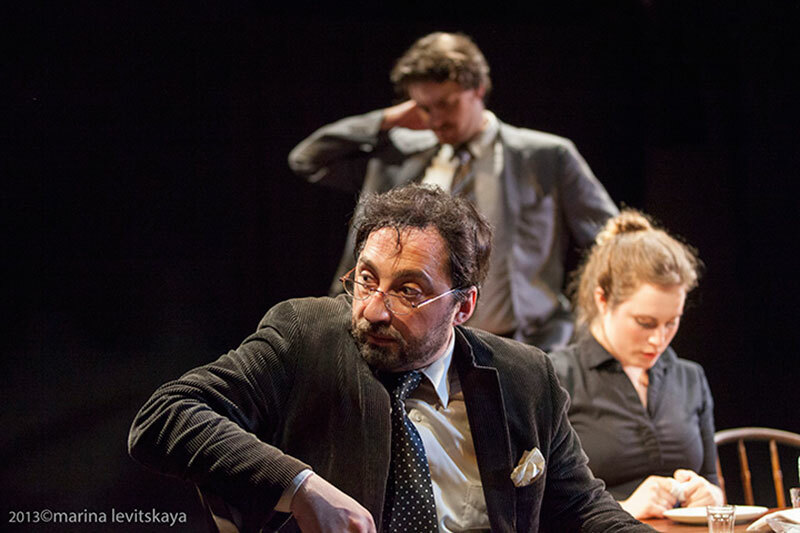 FolksbieneRU is a unique cultural platform created to explore the rich heritage and complex identities of the Russian-speaking Jewish community through theatre and performing arts. The program’s objective is to engage the Russian-speaking community of the New York Metropolitan area with programs ranging from original theatrical productions, concerts, festivals, workshops and interactive events for early childhood, teens, and young professionals and adults. FolksbieneRU brings teaching artists to community centers, camps, school programs, as well as, independent programs, to teach the younger generations about their heritage, deepening their sense of Jewish identity and building bridges to earlier generations, using the instruments of performing arts which enable the audience to find their own creative expression. 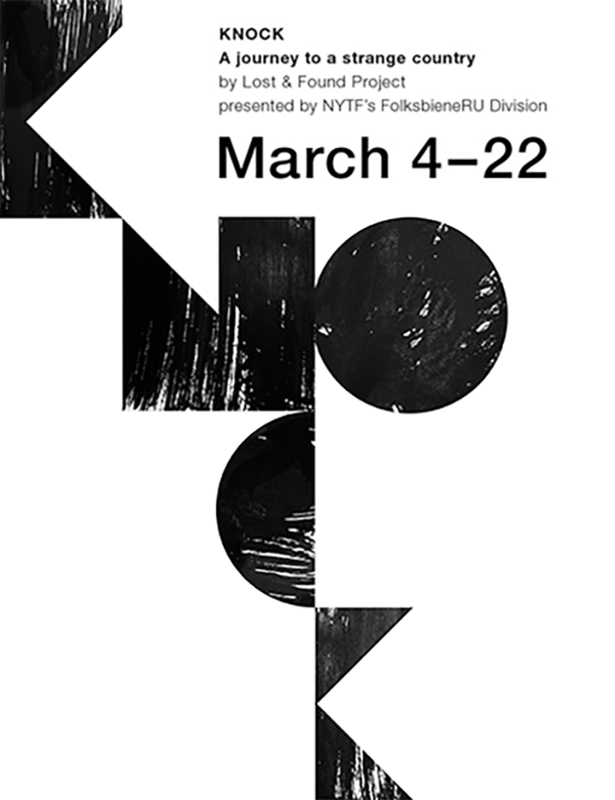 FolksbieneRU is a partnership initiative of the Genesis Philanthropy Group and National Yiddish Theatre - Folksbiene. Please join the foundations, organizations and individuals who contribute to help us grow and continue to invite audiences to be a part of our work. Donations can be made through PayPal. 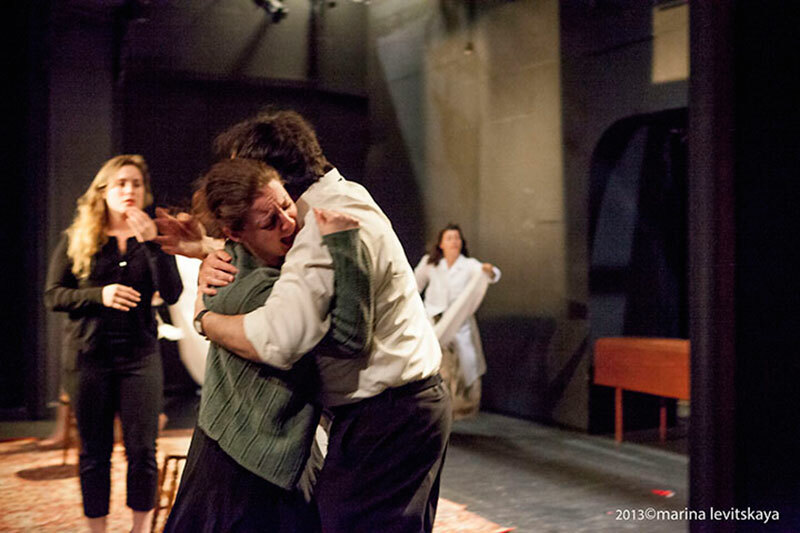 Tax deductible contributions can be made through The National Yiddish Theatre–Folksbiene. Genesis Philanthropy Group is committed to supporting and launching projects, programming, and institutions that are focused on ensuring that Jewish culture, heritage, and values are preserved in Russian-speaking Jewish communities across the globe. 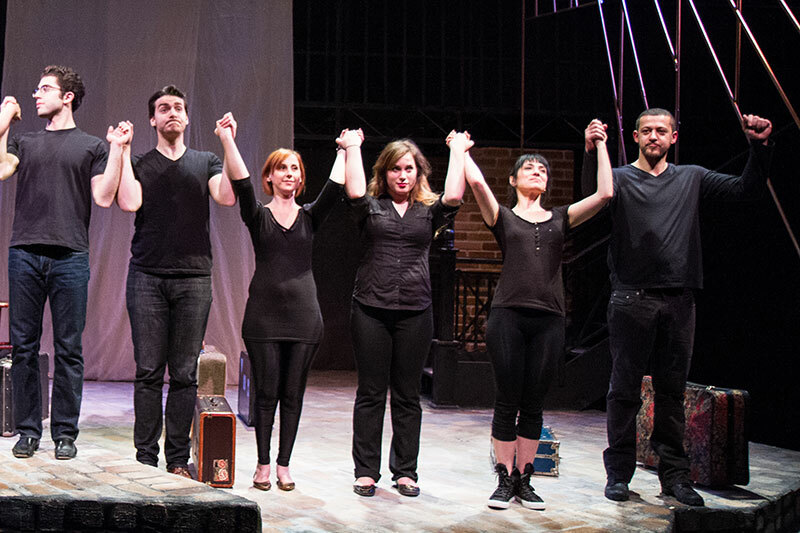 FolksbineneRU is a partnership initiative of the Genesis Philanthropy Group and National Yiddish Theatre - Folksbiene. The Alliance of Resident Theatres/New York is the service and advocacy organization for New York City's nonprofit theatre community. A.R.T./New York assists over 300 member theatres in managing their theatre companies effectively so they may realize their rich artistic visions and serve their diverse audiences well. Through unique educational events and experiences, and through a rigorous, hands-on grantmaking process, Natan Fund is creating an influential community of philanthropists dedicated to strengthening the Jewish world. COJECO serves as a bridge between the Russian Jewish community and the American Jewish community by providing: Informal Jewish education, Leadership training, Assistance to American Jewish organizations in developing culturally sensitive and appropriate programs for Russian-speaking Jews, Assistance to its member organizations with program development, financial assistance, and educational resources. 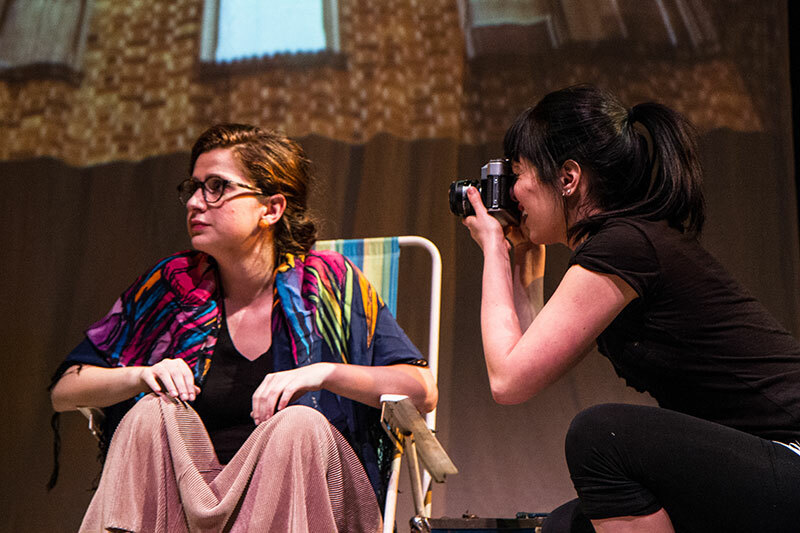 A new multidisciplinary theatre piece exploring a mosaic of interrelated personal stories, relationships, and struggles faced by New-Yorkers trying to find their way home. 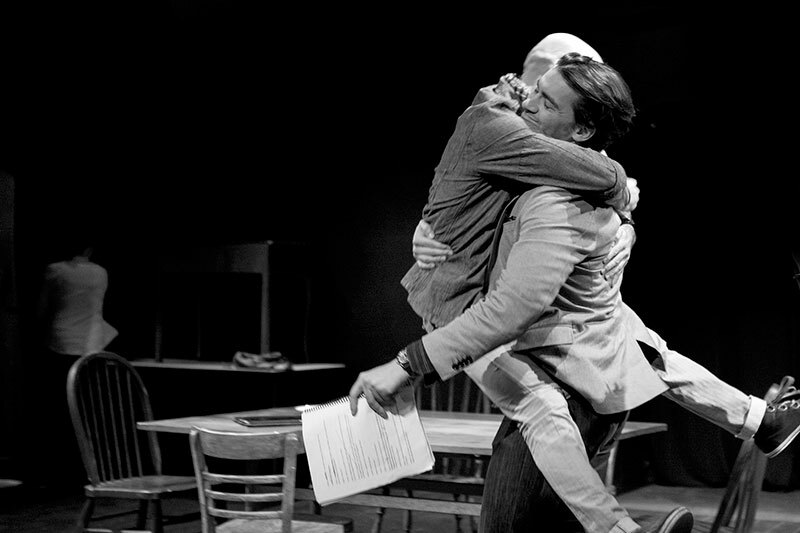 Continuing the company’s tradition of working with the Verbatim technique, Old New Year, the fifth original production by Lost & Found Project, merges personal experiences of the L&Founders. 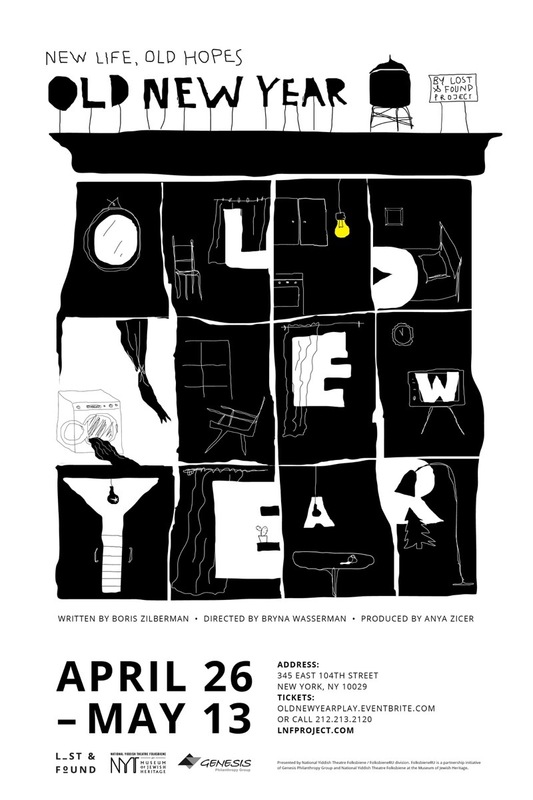 The engaging narrative of "Old New Year" recalls those moments when you're looking at the lighted windows of NYC buildings in the evening and trying to guess what kind of life takes place behind them and their tenants. What events would cause them to decide if they will forge a New Path in a New Day, or repeat the Old Stumbles of the Old Year? To make the right decision, even if it’s difficult, you have to rely on something beyond yourself for guidance: Maybe that's the moment to remember your roots, even if you have not thought about them for the last 15 years. And in this condition, isn’t going to a party the best medicine? Limited run in NYC with only 14 performances! 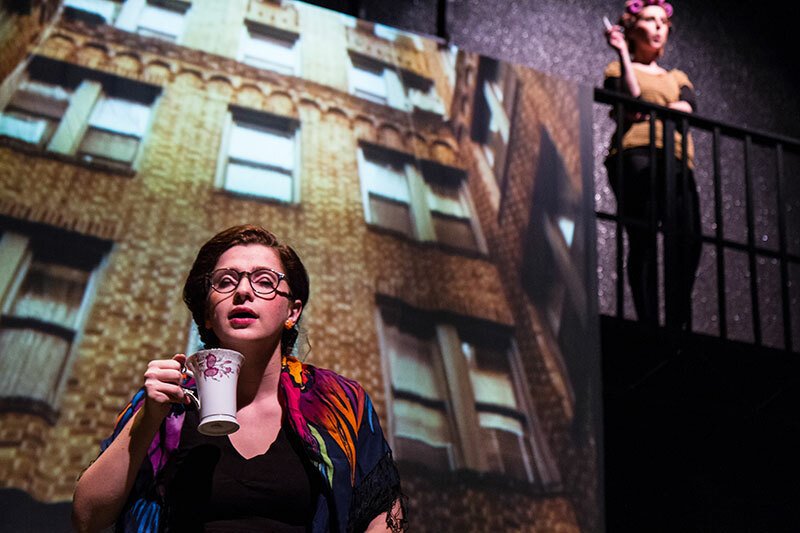 Lost & Found Project explores a new direction with a new audio drama - “Shayna”, which examines the journey of a young singer-songwriter in New York who can’t catch a break. She is estranged from her brother and ailing mother, stuck in dead-end relationships, and stalled creatively. But when a beautiful, haunting melody lodges itself in Shayna's mind, it unearths a family mystery and a century-old injustice that only Shayna can make right. What is Shayna's connection to the dybbuk of Jewish folklore? Where has her mother disappeared to? 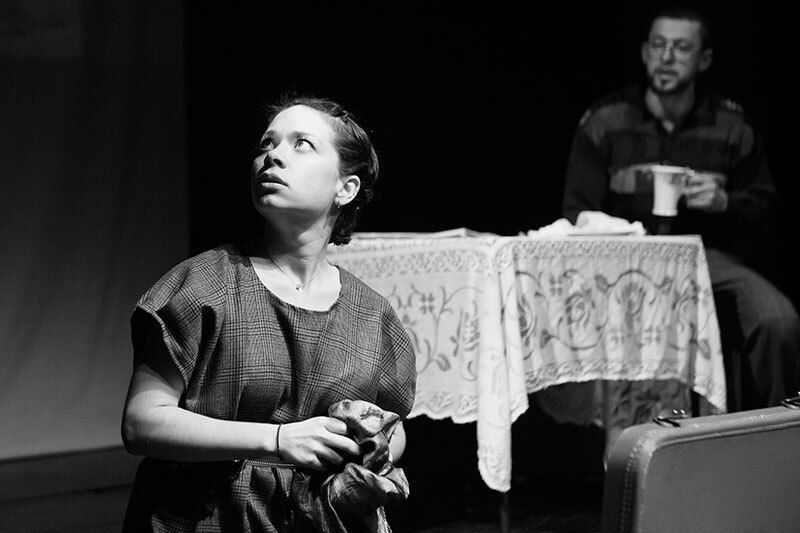 What happened between two sisters in a Russian shtetl at the dawn of the twentieth century? And why is Shayna harassed by an online stalker? 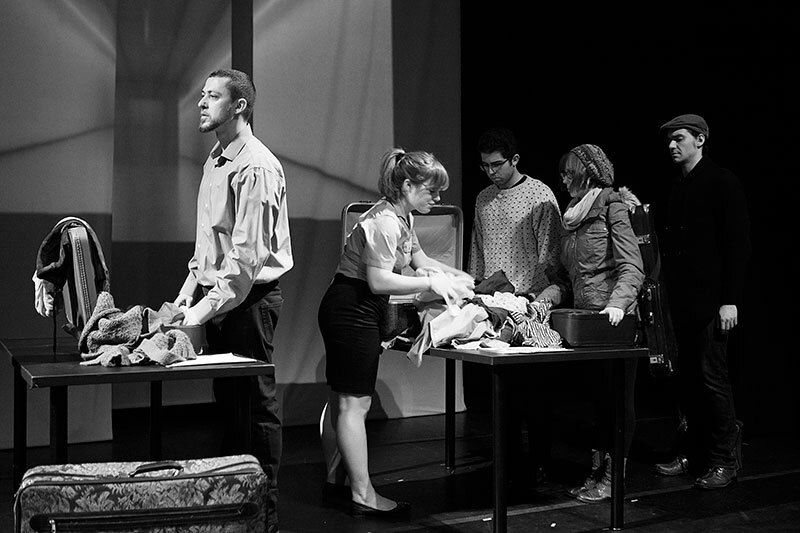 “Shayna” is partially based on personal stories of actors of the Lost & Found Project. Visit our VERBATIM page to learn more about the technique we use to develop our work. Sign up for our mailing list to learn more and get live updates about “Shayna”. This pop-up soiree taking place in a secret location in New York, is set to stimulate your senses through the lens of the unseen. Going back to the "beginning" of our creation, the origin, the darkness... When the lights will turn on, the truth will be revealed. 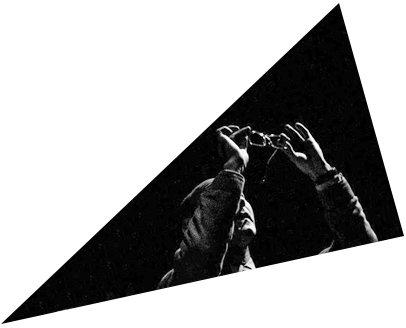 This multidisciplinary event will feature an immersive Sound Drama performance curated by Lost & Found Project in collaboration with Floating Tower (Matti Kovler, artistic director) and other New York-based actors and musicians. ATTENTION: The number of tickets is very limited and will be distributed through a lottery. * You will not be charged until your request is approved. Tickets are $45 per person (price includes tapas-style 7 course meal, wine, performance and "The Gefilte Manifesto" book signed by the authors). If selected, you will be eligible to purchase up to 2 tickets. Please specify the number of desired tickets when applying. 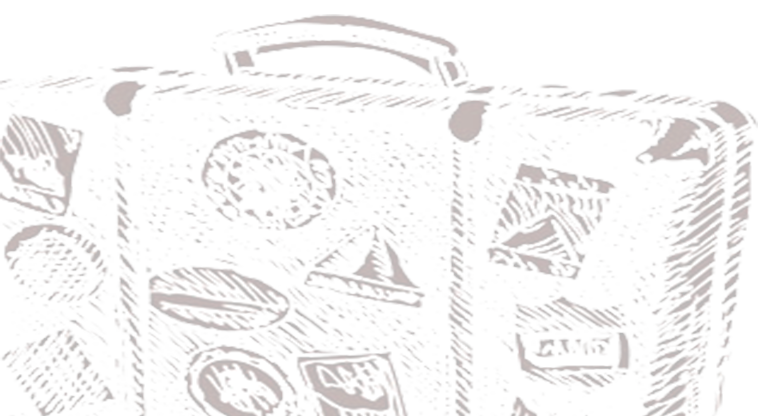 Edges & Borders: An alternative Passover experience was created through a collaboration between Svetlana Shmulyian and Lost & Found Project last April and will be back in April 2017. 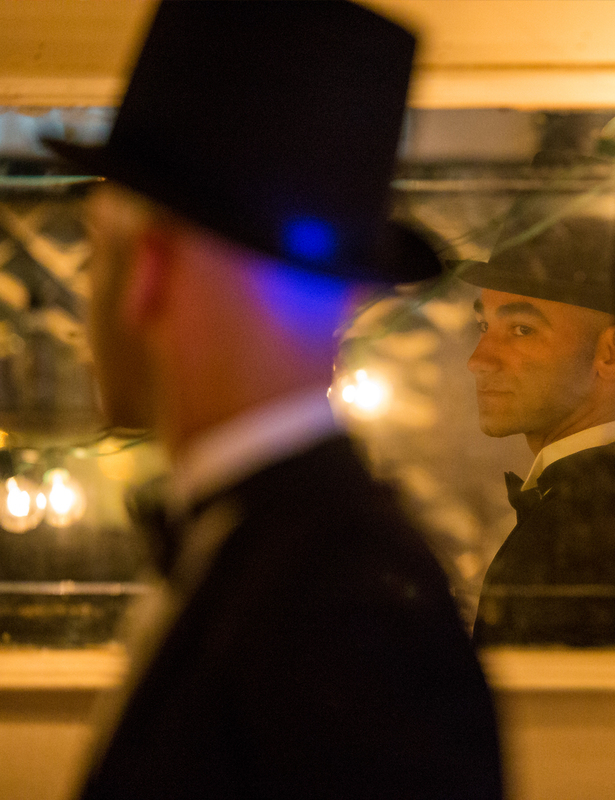 Alternative Passover experience, designed to take its guests through an unusual, captivating experience. 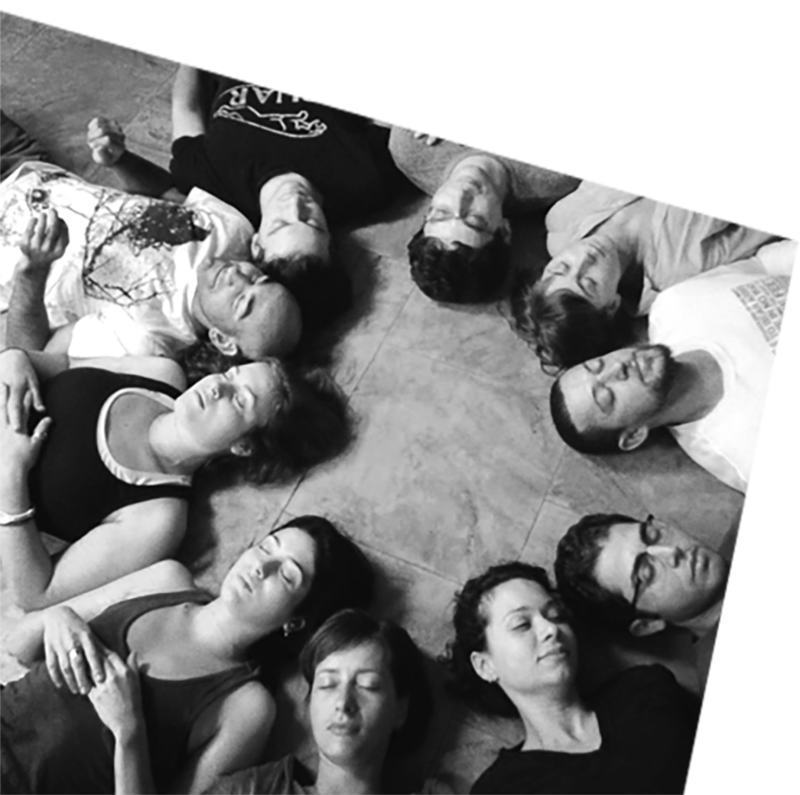 The program explores the key concepts of Passover and its modern existence through the language of the performing arts. Featuring live music, poetry, movement pieces; and a menu inspired by the Passover plate, hand-crafted and executed by a top Brooklyn chef Gosha Danilov @ Two Tablespoons. 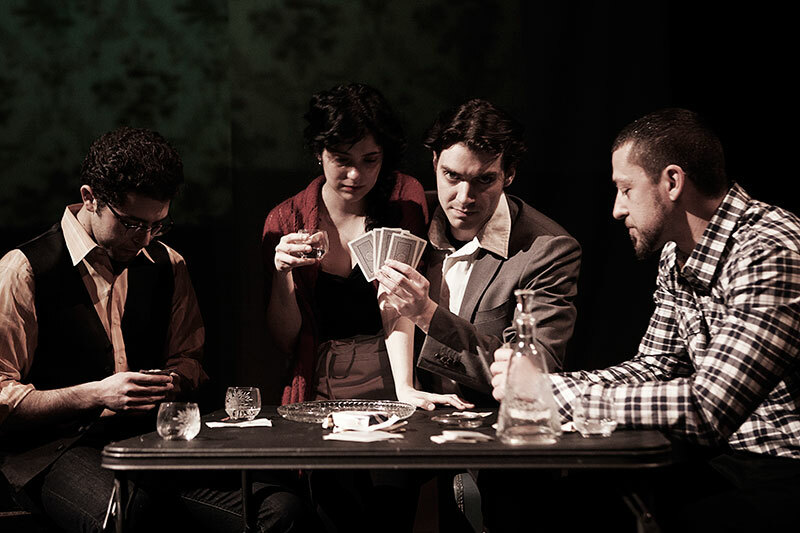 This interactive, speak-easy style performance took place in a secret location in Brooklyn and featured the electronic music band Petits Machins, essayist and poet Marina Rubina, dancer Dmitri Ivanov, world known accordionist Victor Prieto, and Lost & Found actors Boris Zilberman and Sergey Nagorny. Nourished by OneTable. Presented by FolksbieneRU, a partnership initiative of National Yiddish Theatre Folksbiene and Genesis Philanthropy Group. 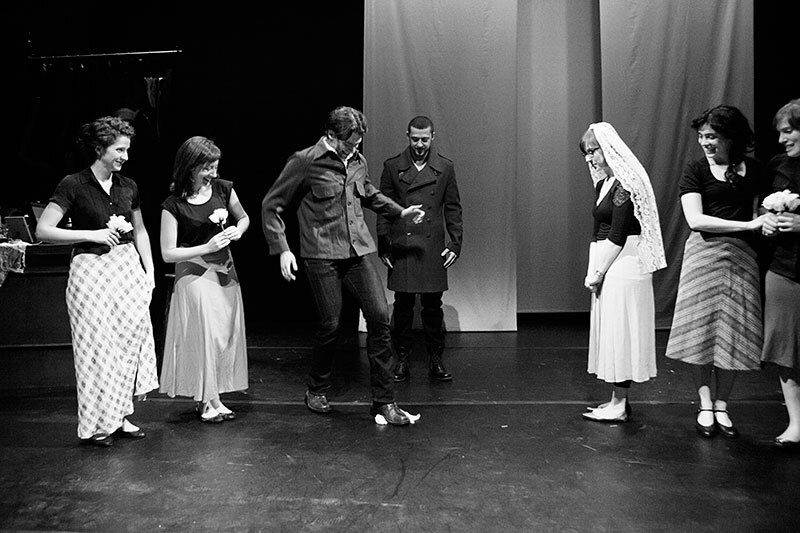 The Lost & Found Project's first production titled "ДOROGA" (pronounced DOROGA), directed by Ben Sargent, incorporates elements of experimental theatre and movement techniques. 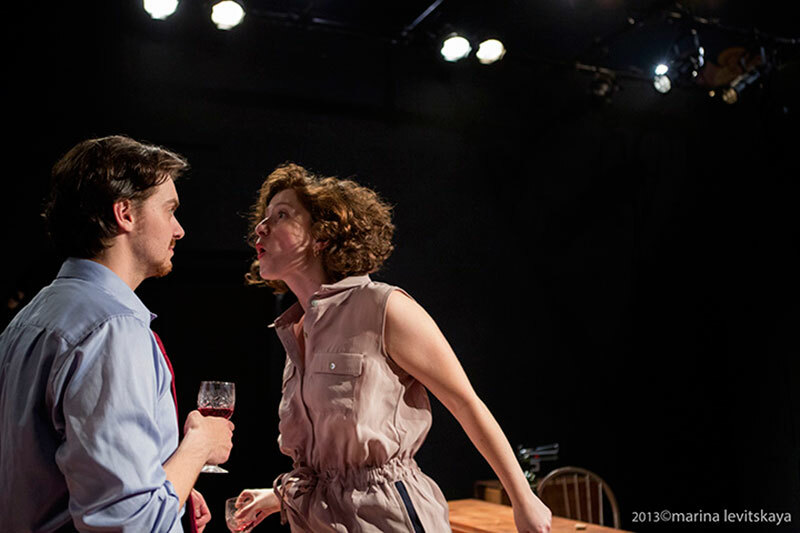 The play was presented in snapshots, depicting a dialogue between the past and the present, connecting the actors' stories through a common character, where parallels were drawn from the actors' affecting environments. 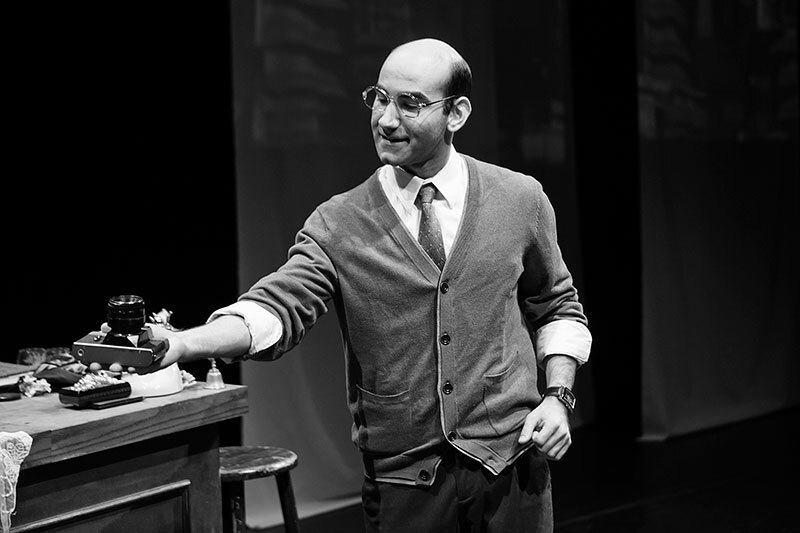 Lost & Found launched its company premiere on March 8, 2012 at the JCC in Manhattan, with a two weeks sold-out run of performances at The Gene Frankel Theatre in NYC. The troupe also toured to Boston, Detroit and Pennsylvania with the production. 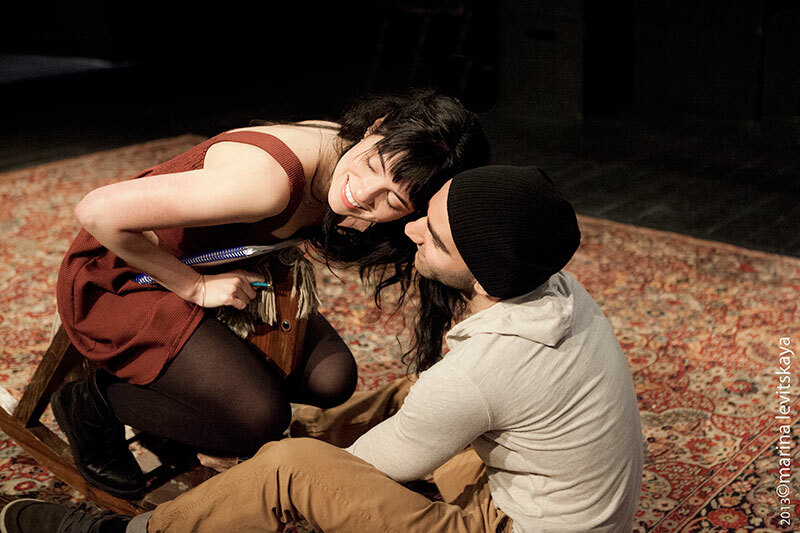 Lost & Found premiered its second original production of COVERS, on May 21-June 2, 2013 at The Arclight Theatre in NYC. 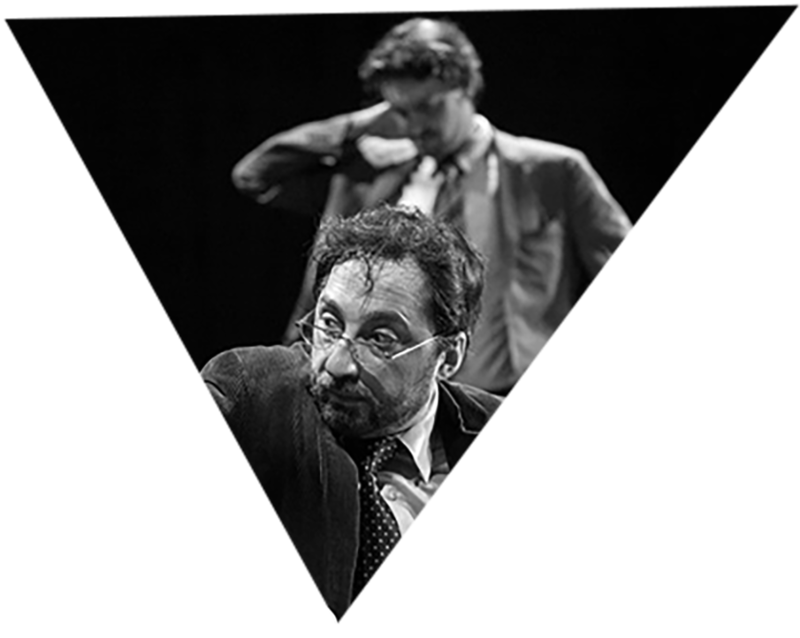 The play is a collaboration of the actors' family stories, under the direction of acclaimed Russian director, Alexandre Marine. COVERS looks into family bonds, our choices and decisions we have made that have formed our lives today. All these are inevitable products to ourselves and to our relationships, they are the glue of our lives, as well as, the possible cause of our downfalls. 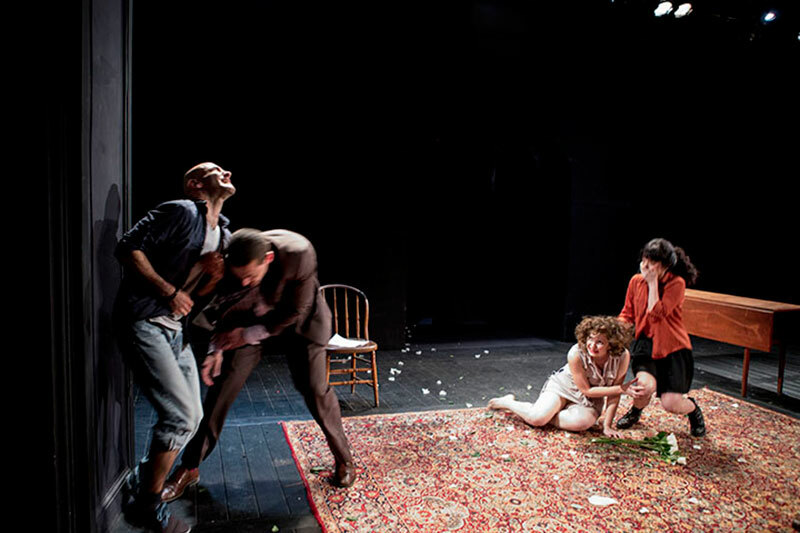 The troupe have toured parts of the United States, in addition to Canada, Russia, Germany and Israel with this production. 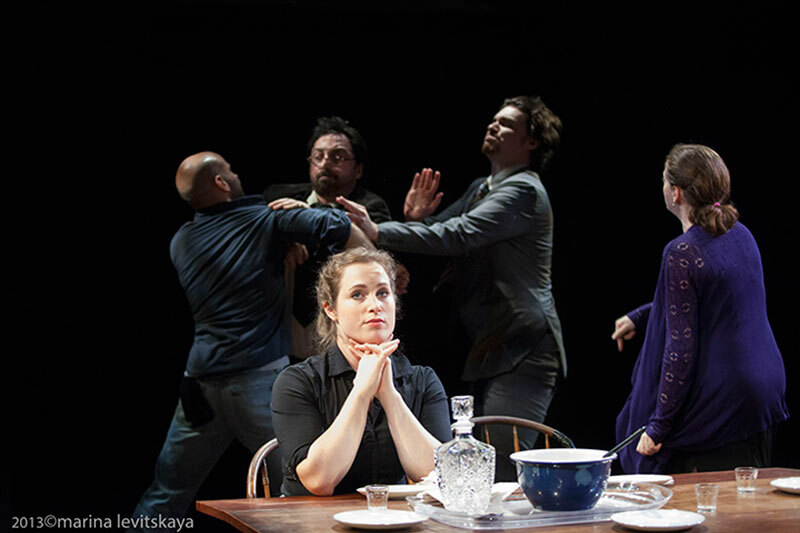 In November of 2013, the troupe toured to St. Petersburg and Moscow, Russia, where they performed to a sold-out international audience and returned back home to NYC with the Best Production Award from the ArtOkraina Theatre Festival in St. Petersburg, Russia. 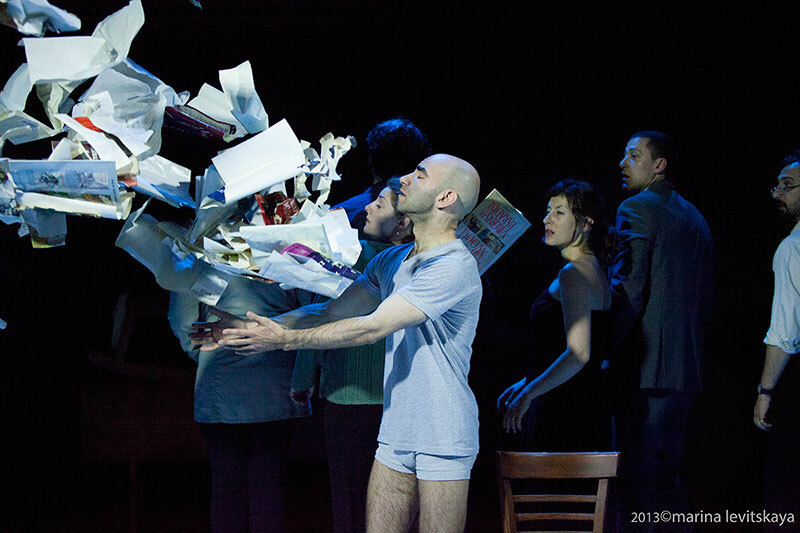 Directed by acclaimed Russian director Alexandre Marine, KNOCK - the third original production by Lost & Found Project - is inspired by the writings of the Russian avant-garde, absurdist writer Daniil Kharms. KNOCK is a metaphorical exploration of action, inevitability, success, and dreaming, through the cracked lens of Kharms' poetry. In an attempt to penetrate the paradoxical world of human nature, KNOCK takes you on a journey to a strange country where people act without consequences and disappear so thoroughly they may never have existed at all. Continuing the company’s tradition of working with the Verbatim technique this production merges personal experiences of the cast with Kharms' absurd stories and brings them to the stage. The result is a surreal exploration of the absurdity that surrounds us in everyday world. 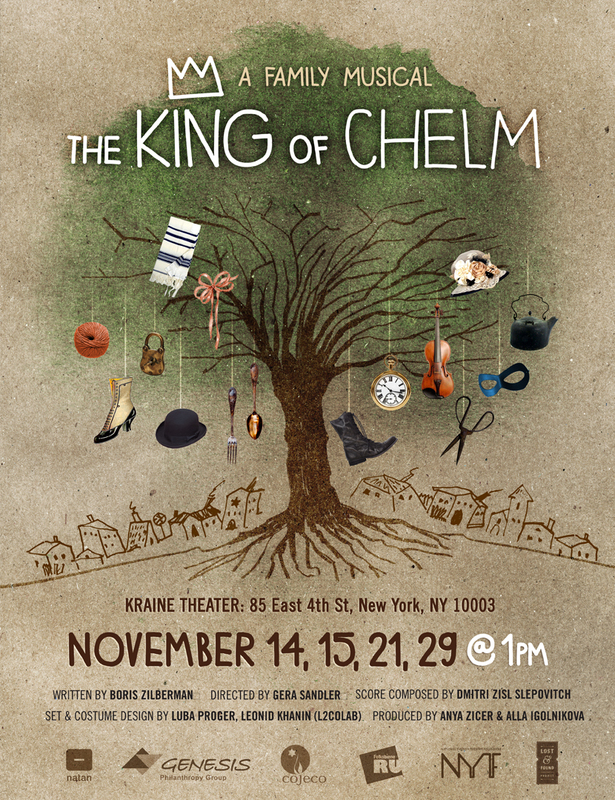 After a sold out premier during KulturfestNYC in June 2015, The King of Chelm returns for a short run at the Kraine Theater this November. Join us on the exciting journey in this interactive musical for kids ages 4-12. Meet Aaron, a young boy dreaming about being a super-hero, who one day finds himself magically transported from his own room to the strange and whimsical town of Chelm. In the upside-down and backwards universe of this small shtetl Aaron, together with the fools and the wise men of Chelm will go on a journey to find out what it really means to be a hero. 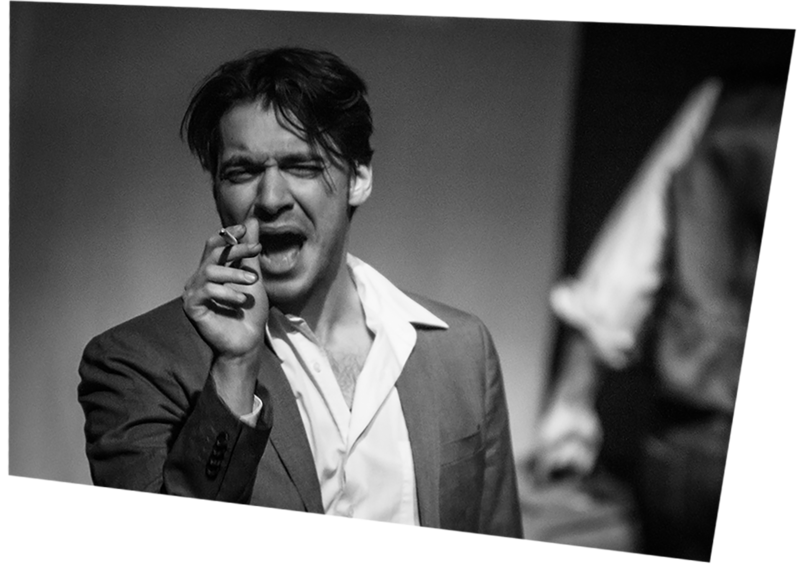 Directed by Gera Sandler, The King of Chelm is based on the poetry and short stories of well‐known Soviet poet Ovsey Shike Driz as translated by Mike Lion. January 26, 2012 Who Got the Part?